The first warship to be christened after a city in the north-east, the guided-missile destroyer Imphal, was "launched" into water at the Mazagon Docks in Mumbai on Saturday. It is ready for commissioning with all its weapon systems, including BrahMos supersonic cruise missiles, as well as sensors in another three to four years. 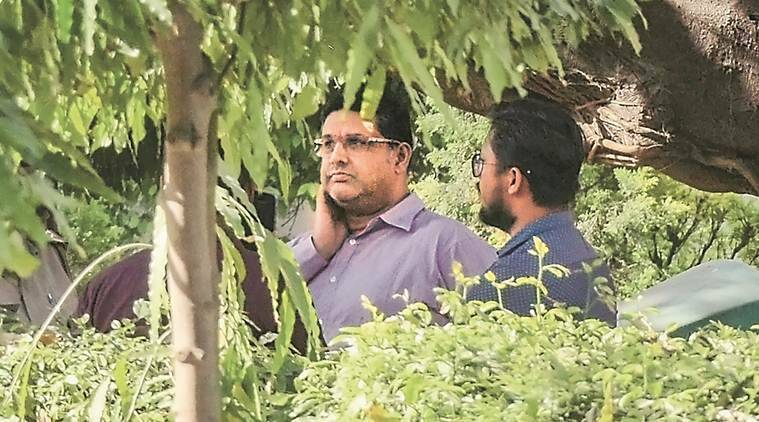 Cops probing the murder case of N D Tiwari's son Rohit Shekhar Tiwari are speculating on three aspects: the role of a female relative said to be close to his family - she was present in the house at the time of his death, initial reluctance of family members to cooperate with the police in the probe and several calls made from his phone between 2am and 4.14am on April 16. 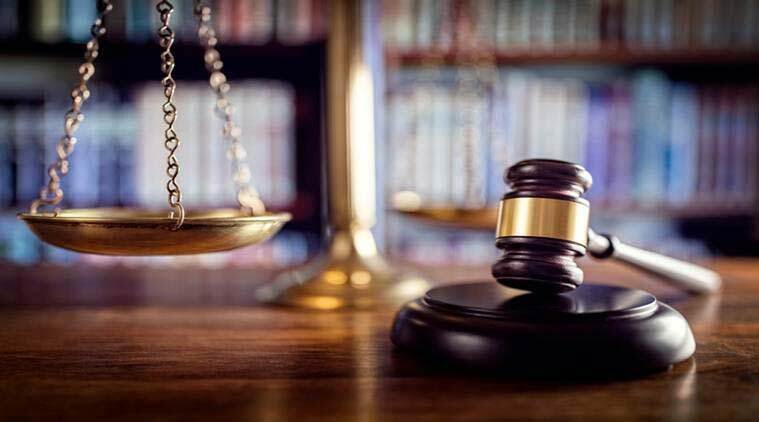 JKLF chief Yasin Malik was on Saturday remanded to judicial custody, cutting short his custody granted earlier to NIA until April 22. 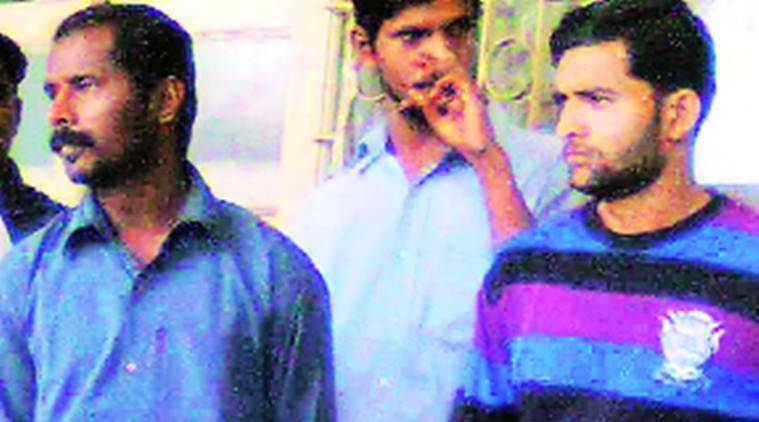 Malik was admitted by NIA to Ram Manohar Lohia hospital around 3-4 days back after he complained of health problems. 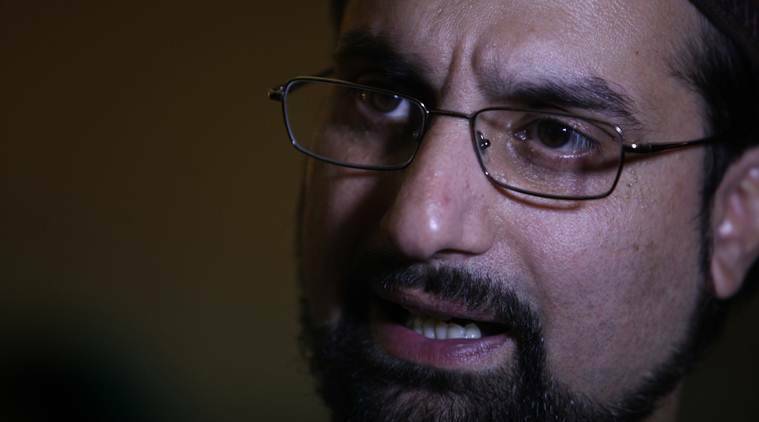 Malik appeared before a magistrate who visited him at the hospital itself. The Oscar winner then branded the POTUS as a “dumbbell”, adding that even gangsters had morals and ethics. The Spruance and VP-8 are operating with the 7th Fleet, which is the largest forward deployed fleet of the US and operates in the Indo-Pacific region, which is the focus of India-US strategic cooperation. Mr. Zelenskiy's unorthodox campaign relied heavily on quirky social media posts and comedy gigs instead of traditional rallies and leafletting. Agent Orange was a defoliant sprayed by US forces to destroy jungles and uncover the enemy’s hiding places. Outburst comes a day after her remarks against Hemant Karkare. 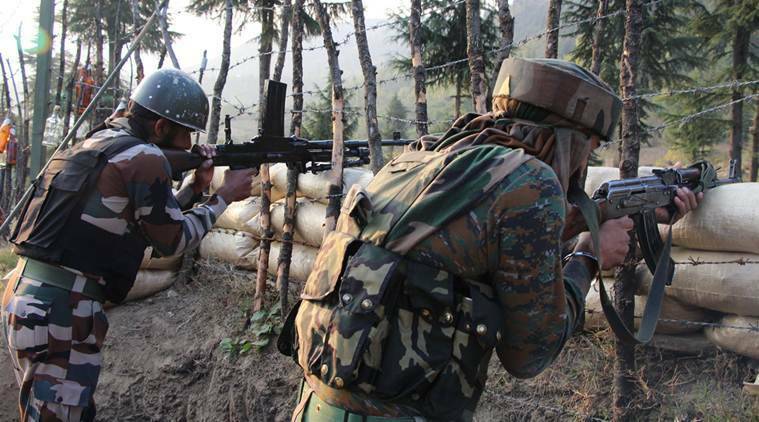 newMaoists losing sway in erstwhile stronghold? 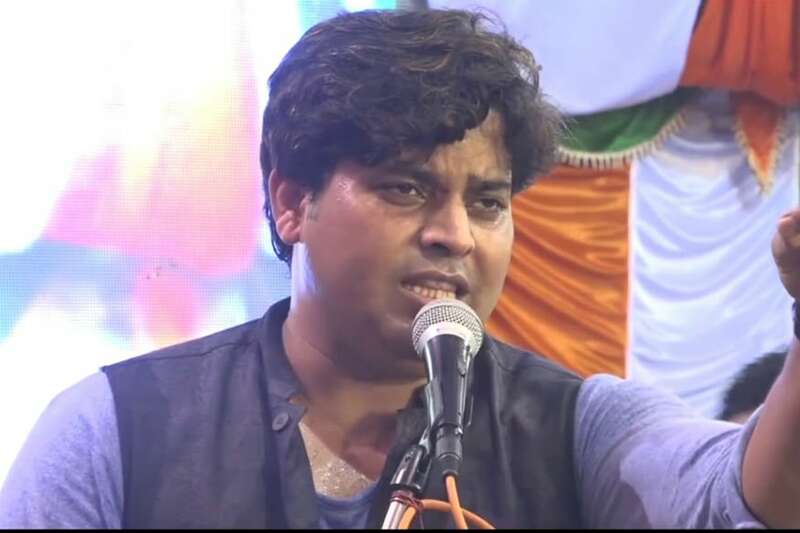 Thakur joined the BJP on Wednesday and soon after was fielded as its candidate from Bhopal against Congress leader Digvijay Singh. 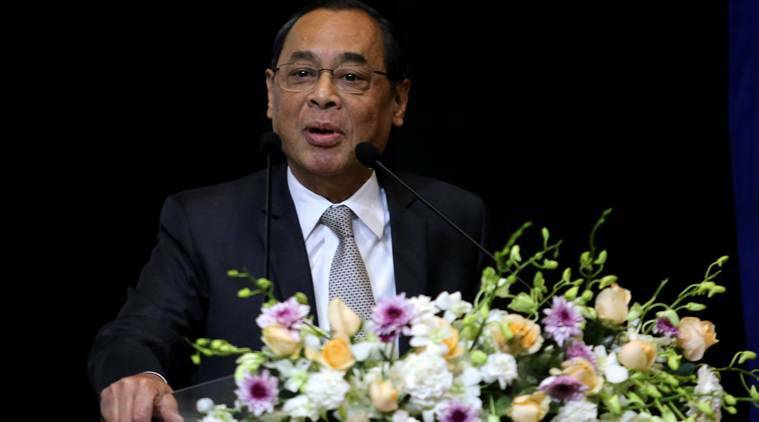 The bench of justices Ali Mohammad Magrey and Tashi Rabstan was hearing a bunch of petitions challenging the closure of the highway for civilian traffic on Sunday and Wednesday every week. 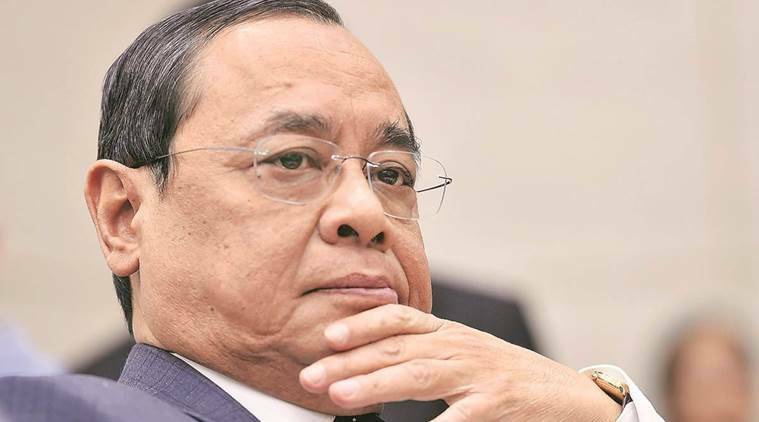 Sadvhi Pragya is under fire for saying that Karkare died in the 26/11 terror attack because she had cursed him for torturing her when he probed the Malegaon blast case as then chief of the state ATS. 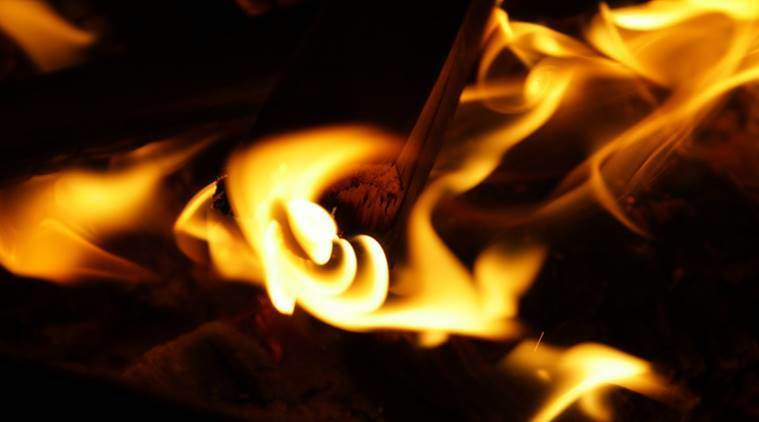 Satti had allegedly made an abusive remark about Gandhi while addressing party workers at Ramshehar village in Solan district Sunday. 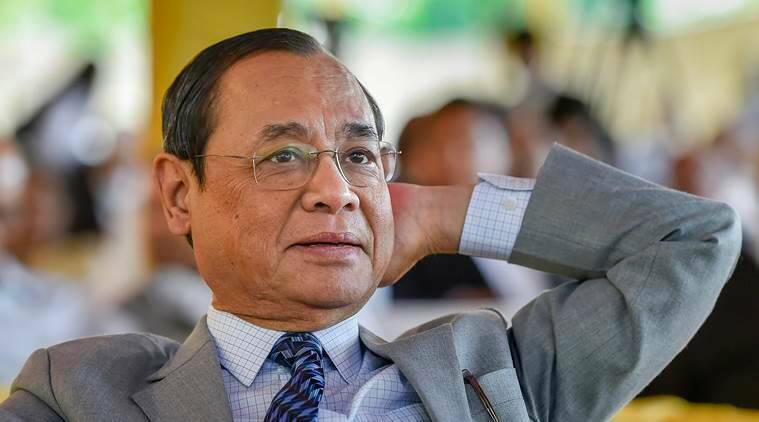 The central government's approach has aggravated the situation in Jammu and Kashmir, the Northeastern region, Chhattisgarh and other states, claimed Sangma. The rally took place in Patan district, over 125 kilometres from here, on April 17 and some local television channels aired a video which showed a woman, part of a group, accepting money from another. As per the official during the election process, the security forces came under severe stone pelting from miscreants at various places. In one of its memorandums, the BJP denied allegations levelled against it by opposition parties in Tripura that it was causing law and order problem. The prime minister should note that backward class students were not receiving their scholarship money under his rule. Altogether four castes Brahmin, Bhumihar, Rajput and Kayasthas - fall in the 'Savarna' group in the highly caste conscious state of Bihar. Sadhvi Pragya has not just insulted a police officer but has shown disrespect to every man in uniform, said Amarinder. 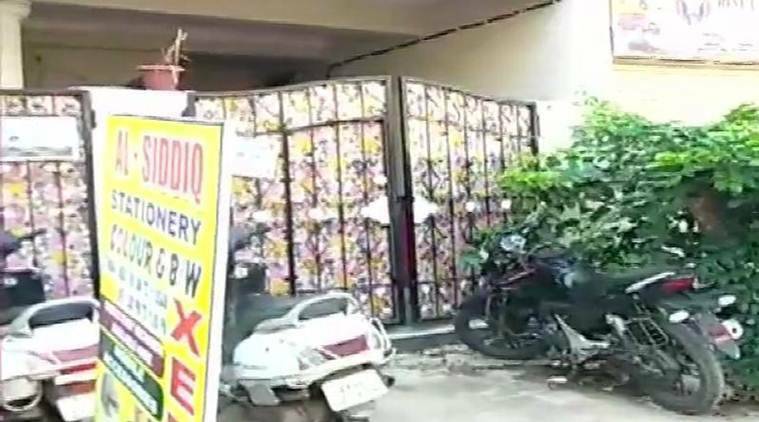 Arnab Roy(30) left his official quarters here for his poll duty at Bipradas Choudhury Polytechnic College Thursday morning but was not spotted since afternoon, a senior Nadia police. 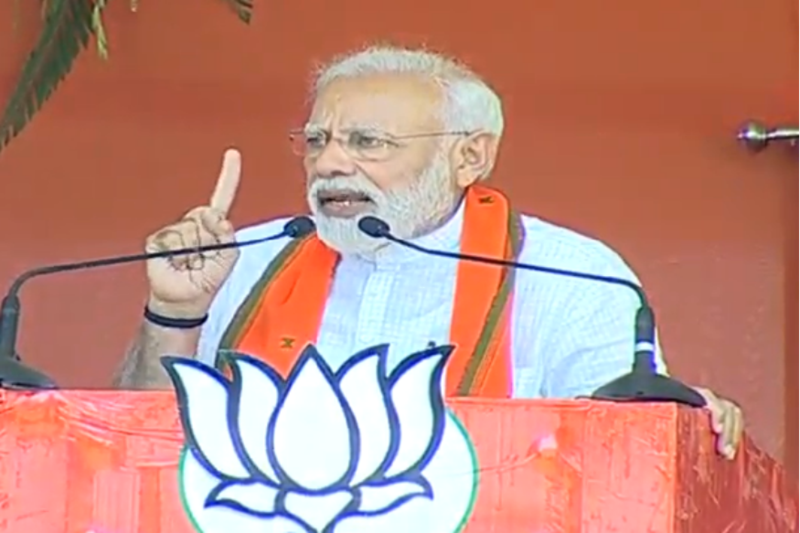 He said Modi was not talking about "real issues" and the people of the country have decided to overthrow the BJP government. 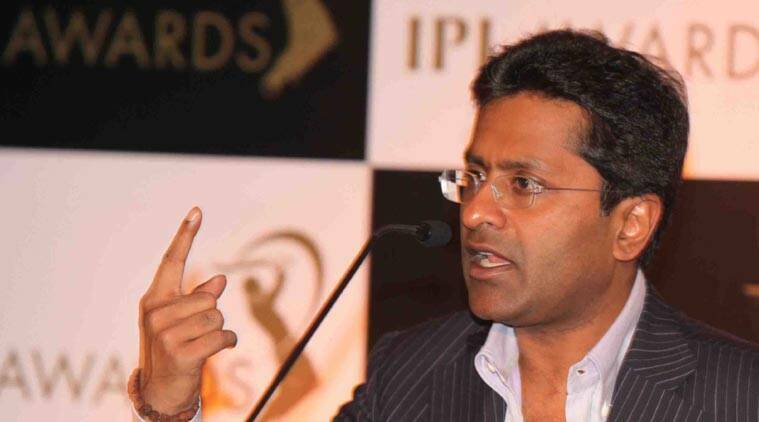 Pawar's daughter and sitting Nationalist Congress Party MP Supriya Sule is pitted against the BJP's Kanchan Rahul Kul. 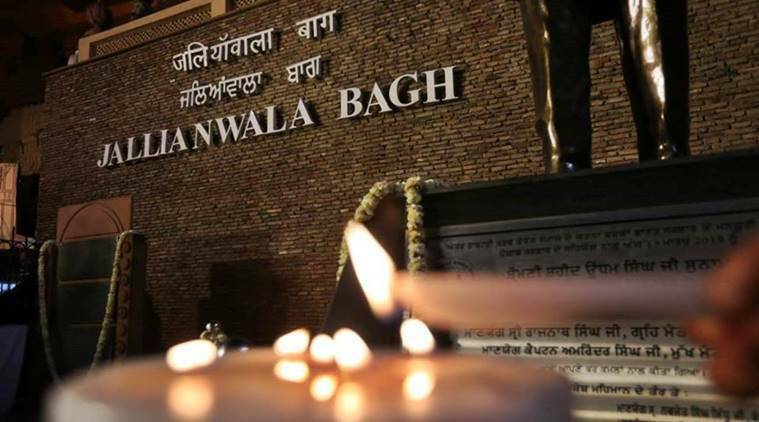 A bitter critic of Badals, Brar had often blamed SAD patron and five-time former chief minister Parkash Singh Badal for the death of his father Gurmeet Singh Brar in 1977. 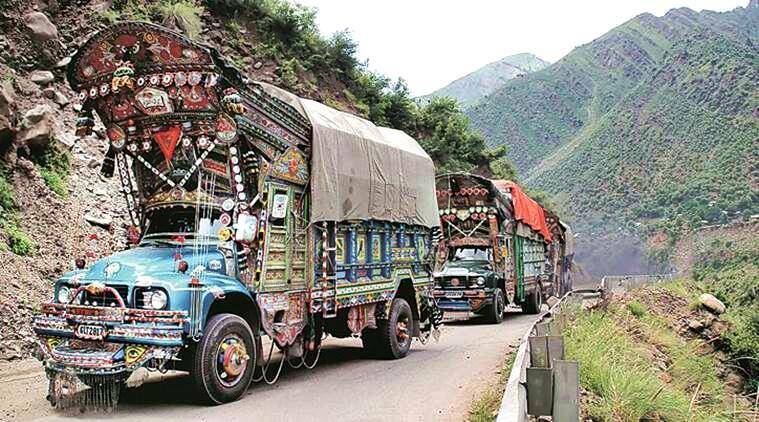 Those engaged in the trade said trucks carrying goods booked by them in Pakistan-controlled Kashmir have also not been allowed to come over on Friday. 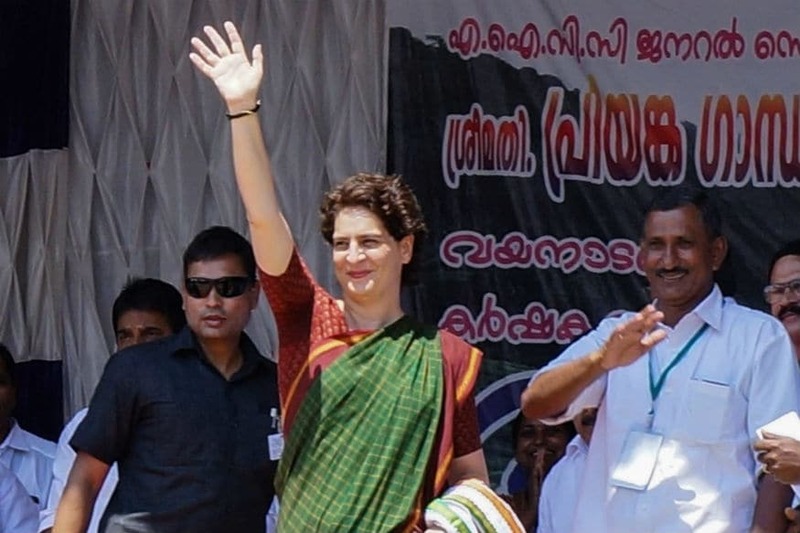 Priyanka Gandhi, who was clad in a red saree, received a rousing welcome in Kanpur as the party workers showered her with flower petals before she began the roadshow. 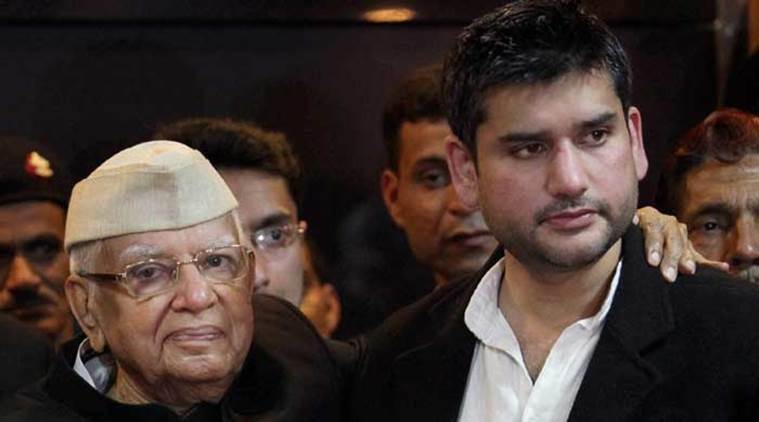 Rohit Shekhar Tiwari had won the paternity suit against the former chief minister of Uttar Pradesh and Uttarakhand, late Narayan Dutt Tiwari. 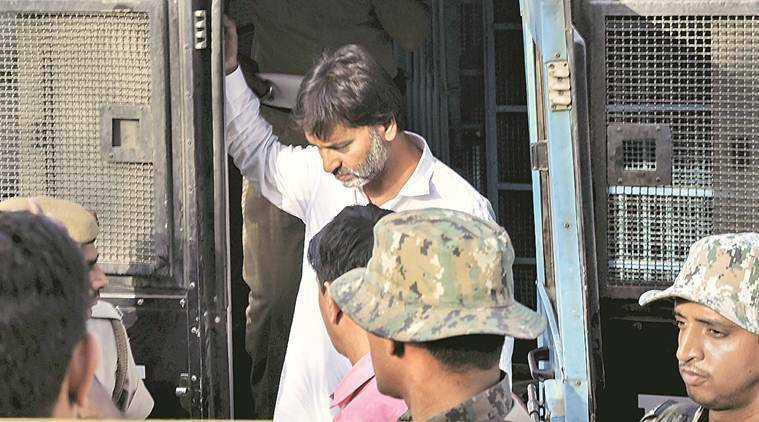 Thakur, the prime accused in the 2008 Malegaon bomb blast case, alleged that Karkare falsely implicated her in the case. 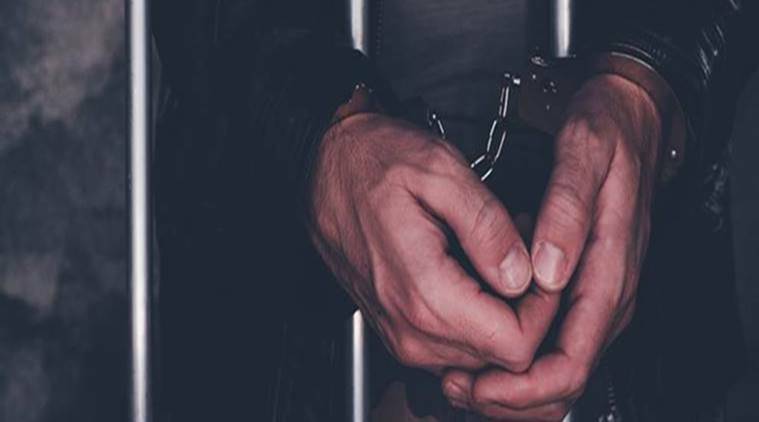 Sources said that some Indian nationals who have crossed over to Pakistan and joined militant organisations have opened trading firms in Pakistan. 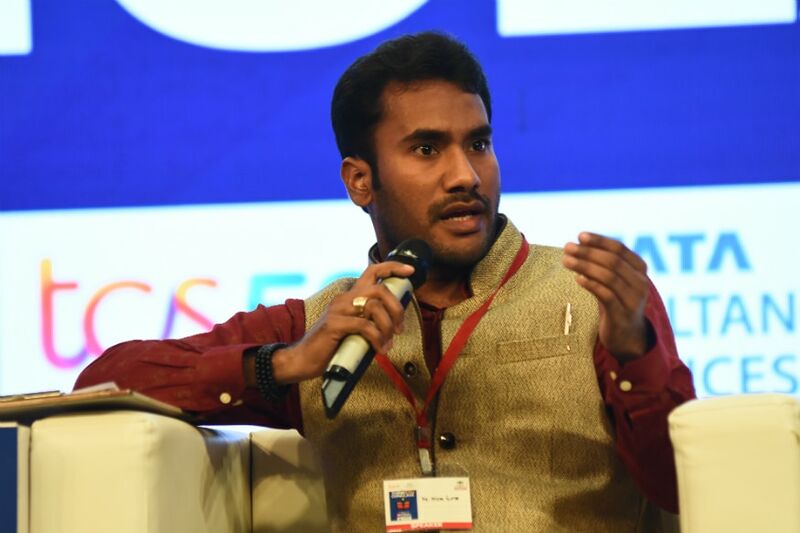 Tarun Gajjar had said that he had his own grievances with Hardik, for disrupting normal life in Gujarat during the Patidar agitation, which caused him to go through a great deal of hardship. 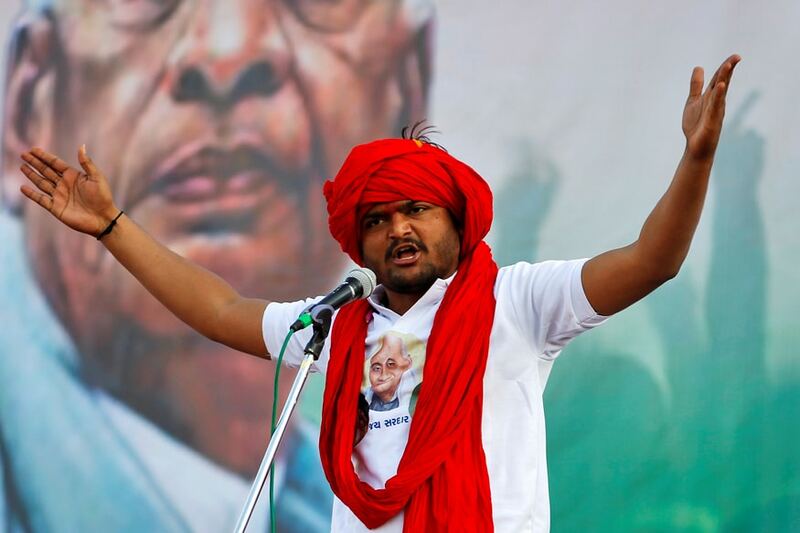 The incident happened earlier in the day when Hardik was addressing a gathering at the Jan Akrosh Sabha. Akhilesh also thanked BSP supremo Mayawati for supporting the candidature of the party founder and his father Mulayam Singh Yadav from Mainpuri parliamentary constituency. 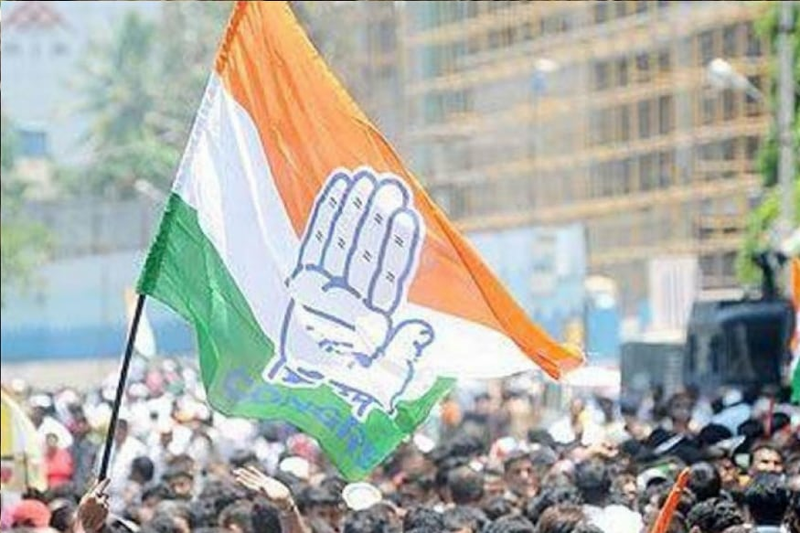 The party claimed that Wani, in the audio, campaigned for Congress candidate in Udhampur-Doda parliamentary constituency on the day of polling on Thursday. Karkare, who headed the Mumbai anti-terror squad, had died in the Mumbai terror attacks in 2008. 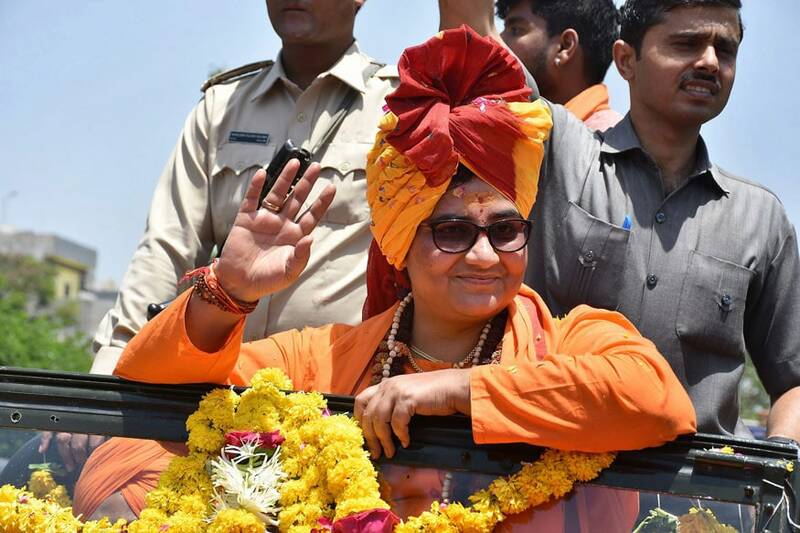 BJP's Bhopal candidate, an accused in the Malegaon blast, had said that Karkare died because he treated her very badly and earned her curse. 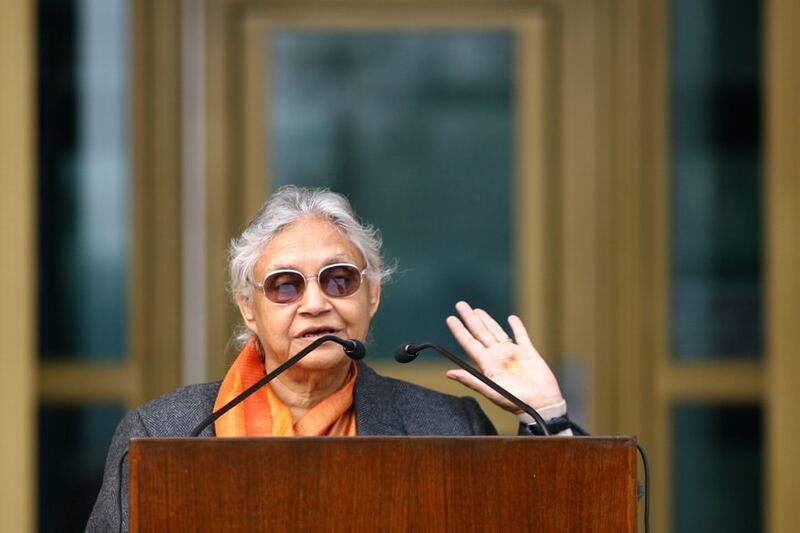 Chaturvedi quit from Congress as the Grand Old Party took back some of its old timers in Uttar Pradesh who were expelled for misbehaving with her. 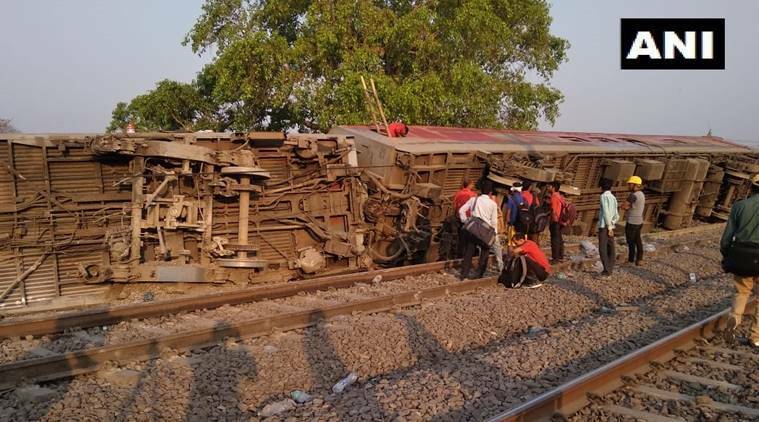 On Thursday, Thakur, an accused in the 2008 Malegaon blasts case, said that the former Mumbai ATS chief Hemant Karkare lost his life because she had cursed him. 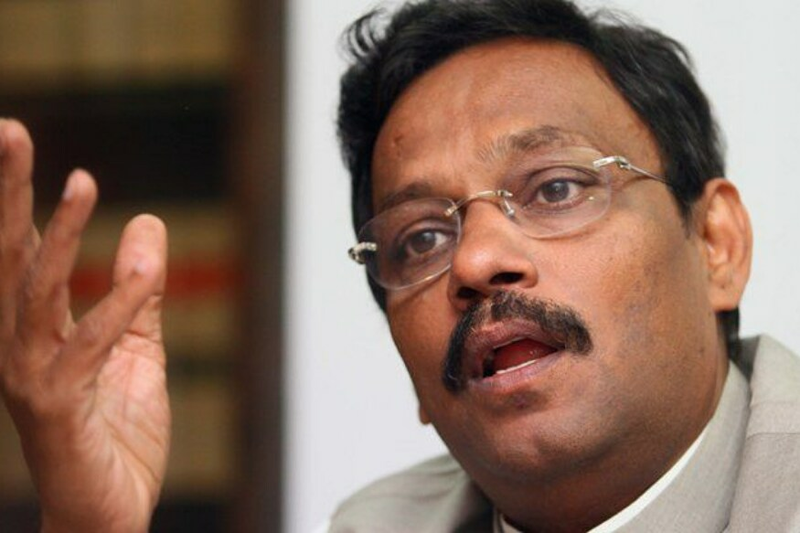 Sule asserted the agrarian crisis and water shortage were important issues that need to be dealt with seriously. 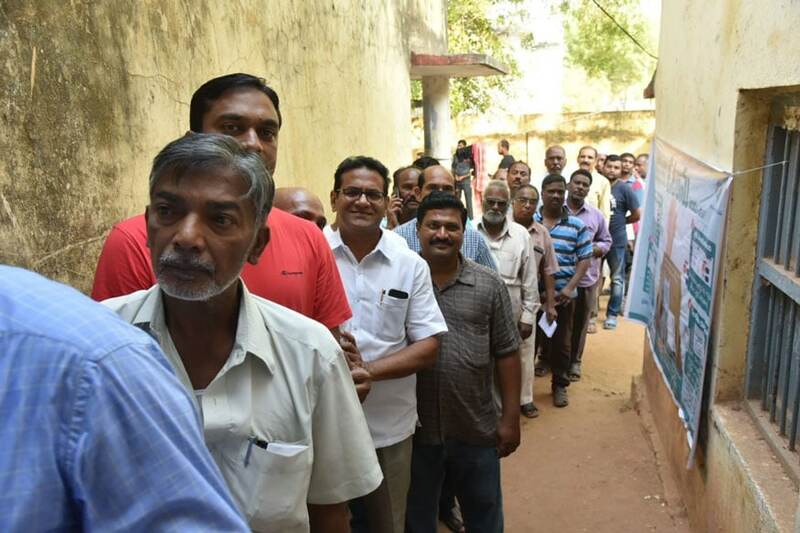 A section of the media carried a report Thursday, claiming that Singh and Governor Najma Heptulla did not queue up at the polling booth to cast their vote. The Chief Minister drove to the Aliganj temple and offered 'prasad' on the occasion of Hanuman Jayanti this morning, BJP sources said. 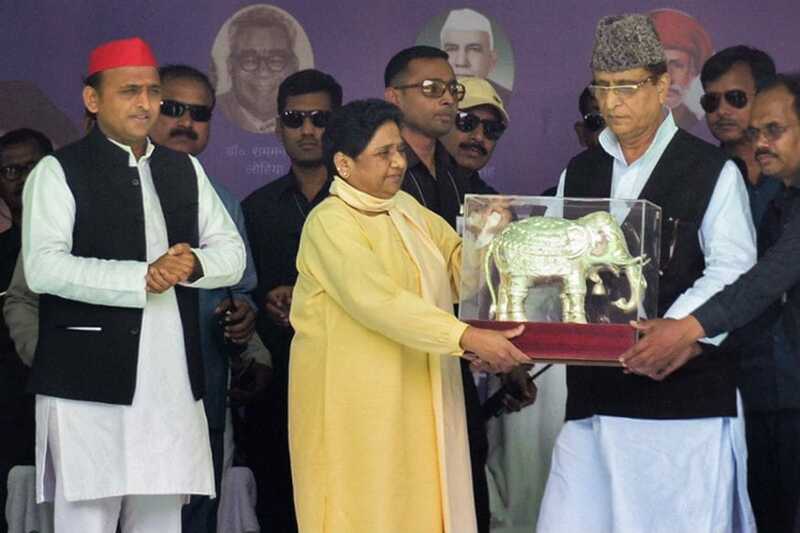 Mayawati urged the people of Mainpuri to vote for her once bitter rival Mulayam, praising him and his son Akhilesh while slamming the Congress and BJP over their 'false promises'. 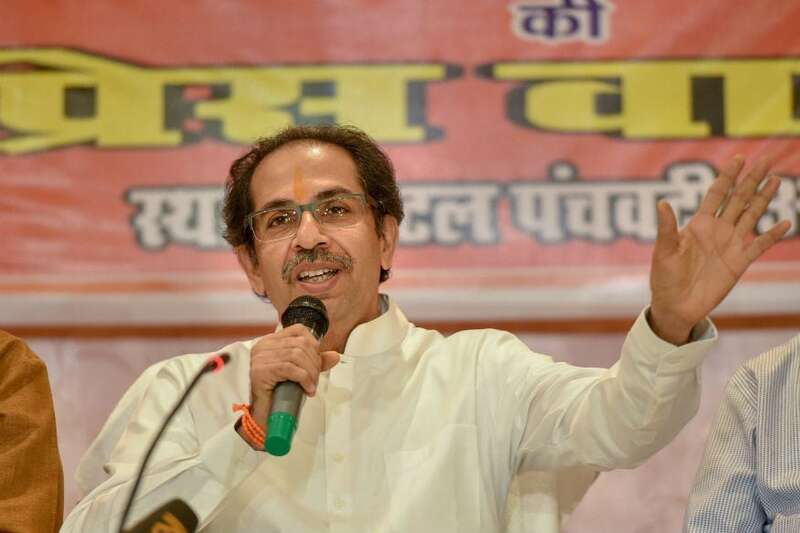 On April 4, Deora, while addressing an event at Zhaveri Bazar, accused Shiv Sena of hurting religious sentiments of Jain followers. 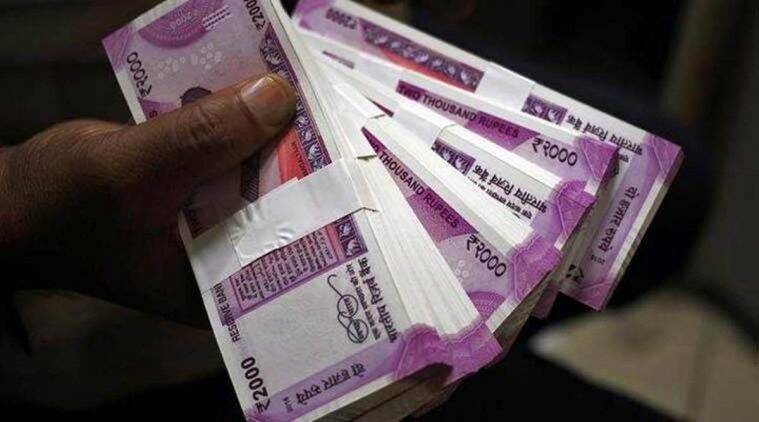 The ADR concluded in its report that 392 candidates have declared personal wealth in crores. 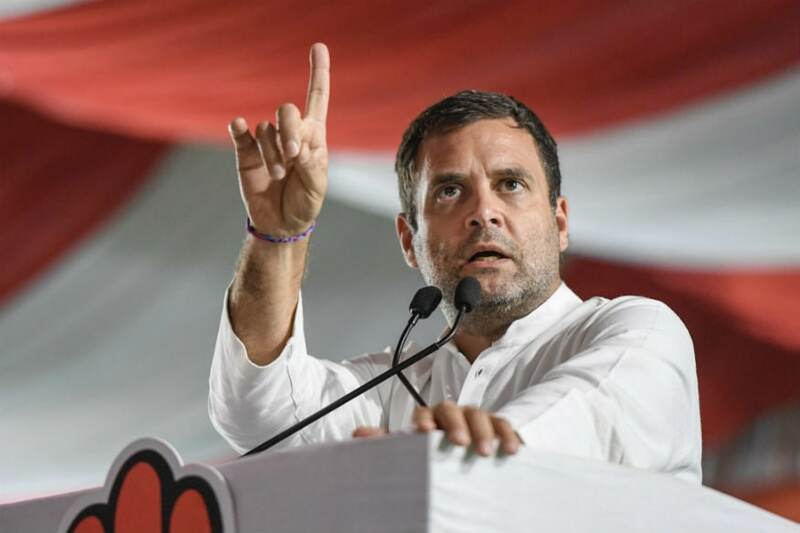 Addressing a rally in Gujarat's Kutch, Gandhi had reiterated his poll promise of NYAY which ensures a minimum income of Rs 72, 000 per annum for the poorest 20 per cent households. The professors staged a demonstration on Thursday outside the vice chancellor’s office for being forcefully put on election duty. Shivpal Yadav said if elected, he would set up a colony for labourers working in Bengal factories and work towards accelerating small industries and making the city an employment hub. 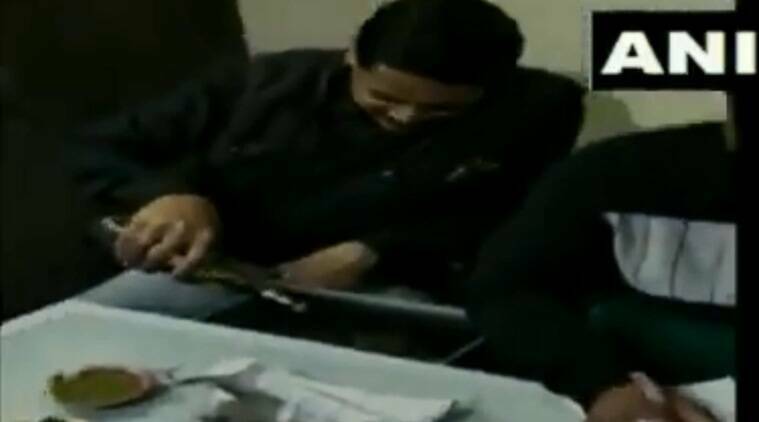 Pawan Kumar from Abdullapur Hulsapur village in Bulanshahr constituency ended up voting for BJP candidate Bhola Singh instead of casting his ballot for Yogesh Kumar, the SP-BSP-RLD candidate. 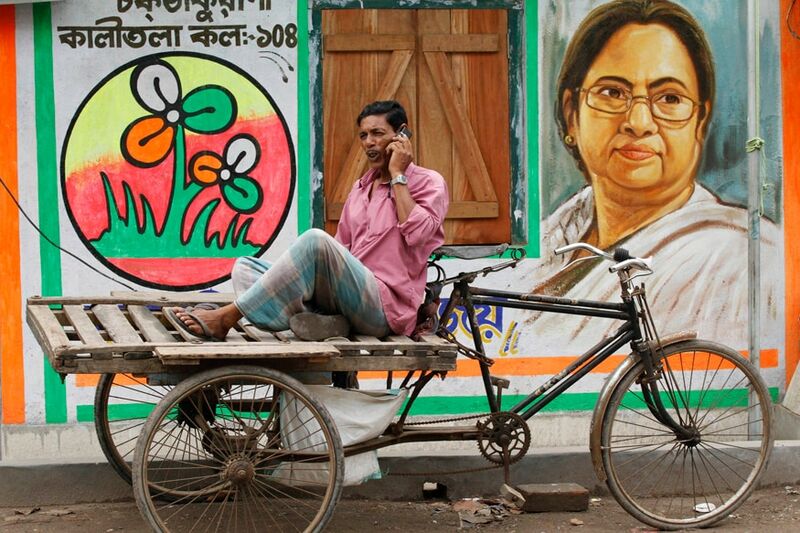 Malda North, Malda South, Jangipur, Murshidabad and Balurghat will go to polls on April 23. 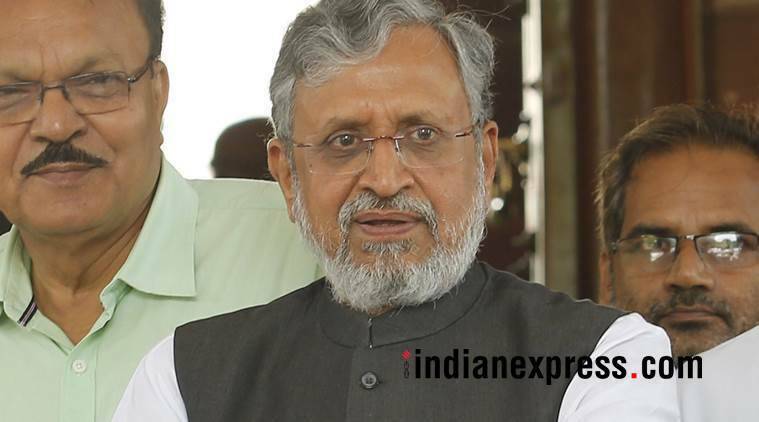 In the letter, Kumar also questioned why the RJD chief has been using his Twitter account to spread his political agenda. 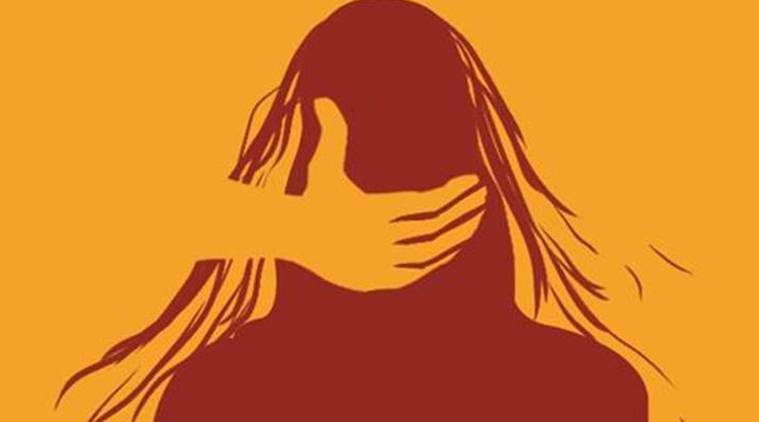 A video showing Debburman assaulting Mintu Debbarma inside a police station in Khowai district, around 50km from here, has gone viral on social media. 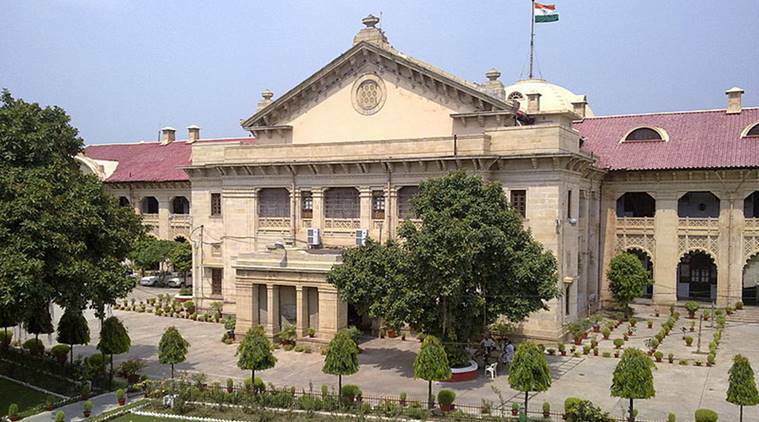 He was sentenced by the Allahabad High Court for his involvement in the murder of five people on January 26, 1997. 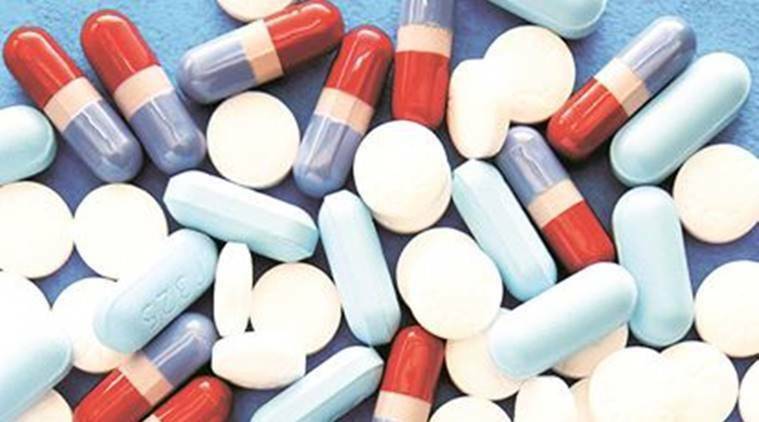 The woman had stepped out of her home to withdraw money from a bank for purchasing medicines when the accused offered her a lift. 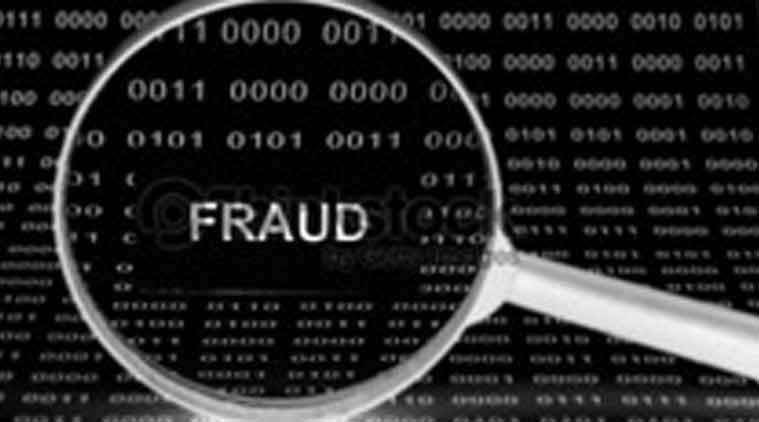 Around 280 traders, who were directly involved in the trading will also be affected after the suspension of the business, which has touched Rs 6,900 crore since its inception in 2008. 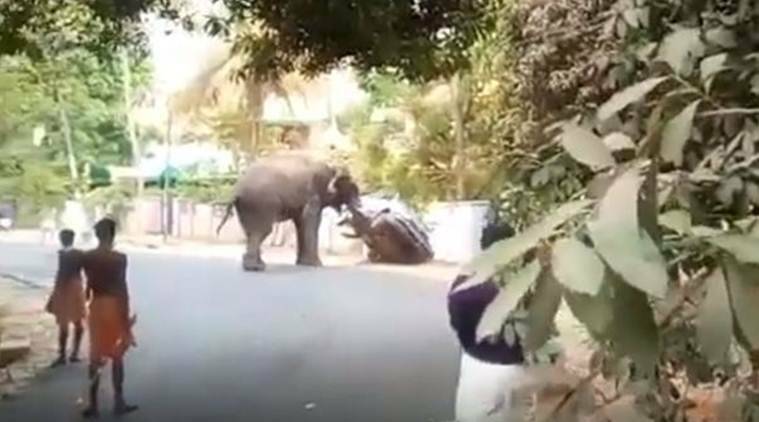 Manoj Sinha boasted that no criminal of the eastern region had the guts to intimidate any BJP activist within the limits of Ghazipur and if they did, they would be buried in the ground. Bombs were hurled and bullets fired by unidentified men, injuring a student of a local school in Chopra. 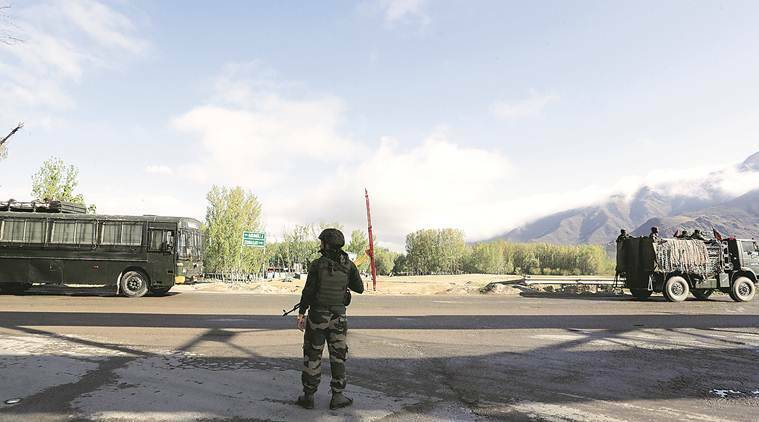 The threat from JeM comes two months after the terror outfit targeted a CRPF convoy in South Kashmir's Pulwama, killing 40 CRPF personnel. 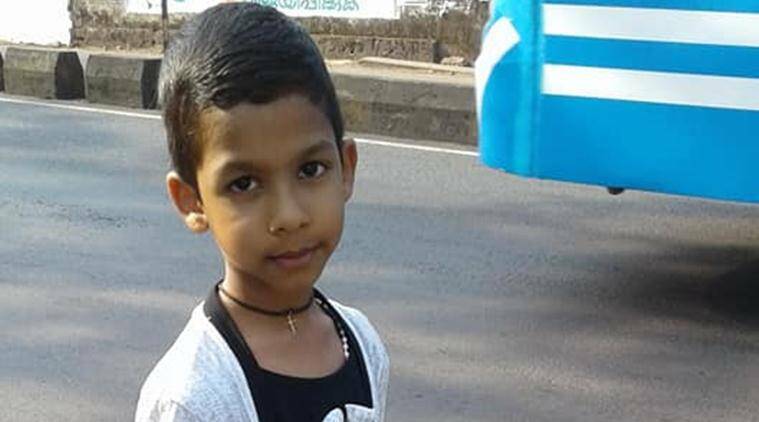 Aarti Shah had claimed that she had actually given birth to a boy, who was exchanged by the girl by the hospital authorities. This was Tata's second visit to the RSS headquarters, the first being more than two years ago- on December 28, 2016. 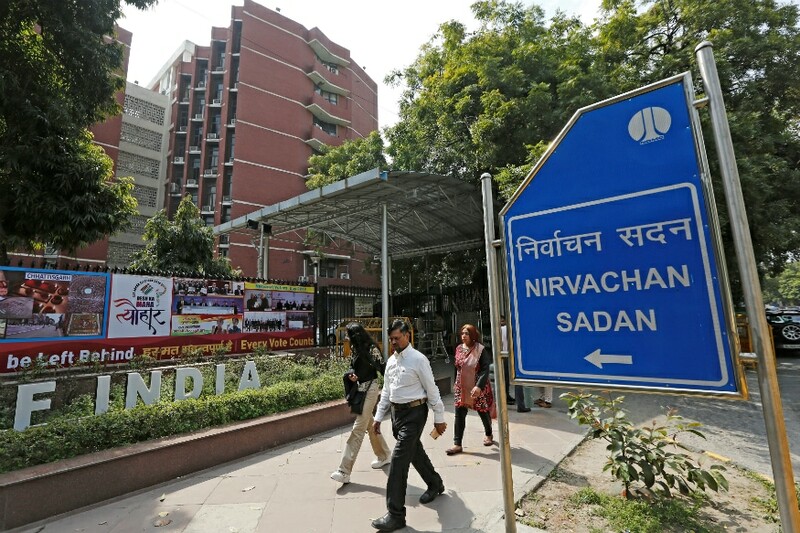 The EC said that the banner was put up without the permission of the owner of the building. Furthermore, the details of the printing firm were not seen on the banner. 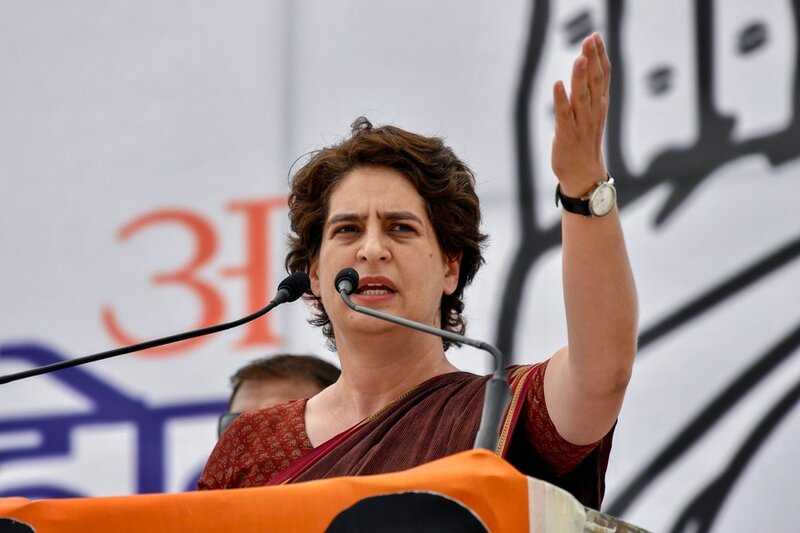 Congress Committee of Uttar Pradesh had earlier thrown out some of its leaders for their alleged unruly behaviour with Priyanka in Mathura while she was attending a press conference. On a radio show, Alia Bhatt was asked about Kalank's comparisons with Sanjay Leela Bhansali films. She also revealed that the filmmaker watched a few glimpses. It is yet to be seen if Narendra Modi agrees to their request. During a media interaction, Arbaaz Khan once again opened up about his divorce with estranged wife Malaika Arora. He also spoke about believing in the institution of marriage. 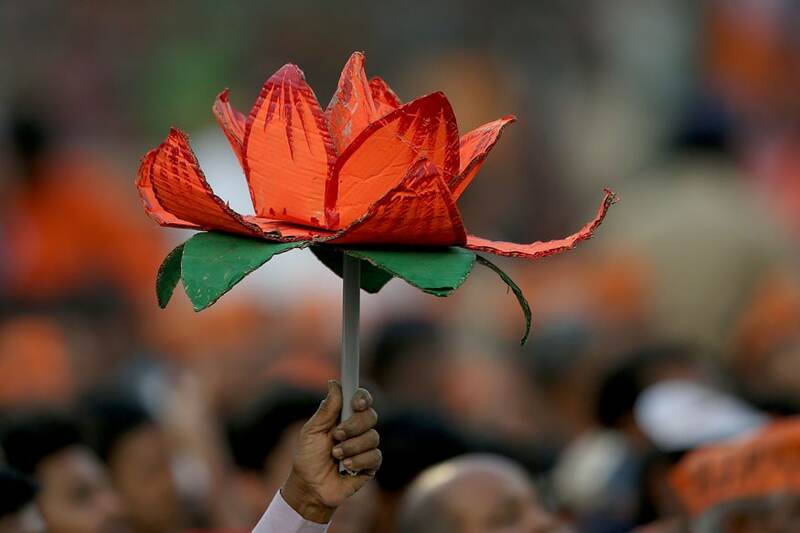 Dahod is one of the 26 Lok Sabha Constituencies going to poll on April 23 in the state of Gujarat. 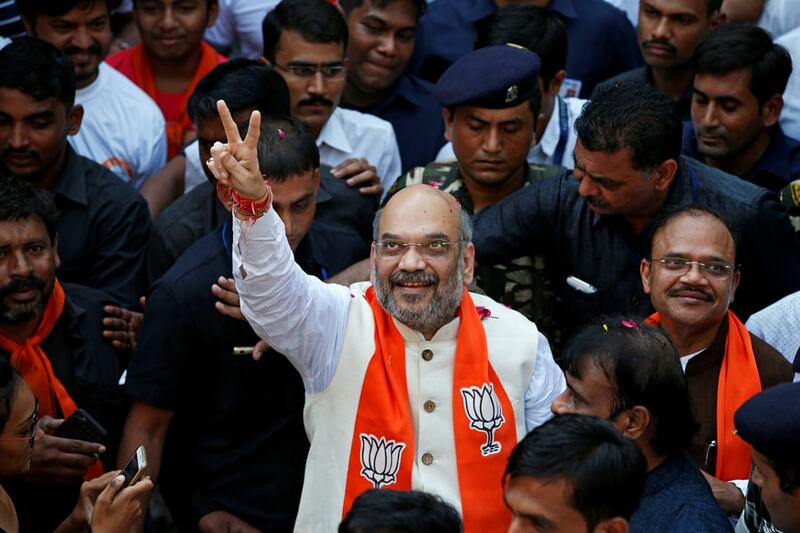 Bhavnagar is one of the 26 Lok Sabha Constituencies going to poll on April 23 in the state of Gujarat. It consists of the following Assembly constituencies -. 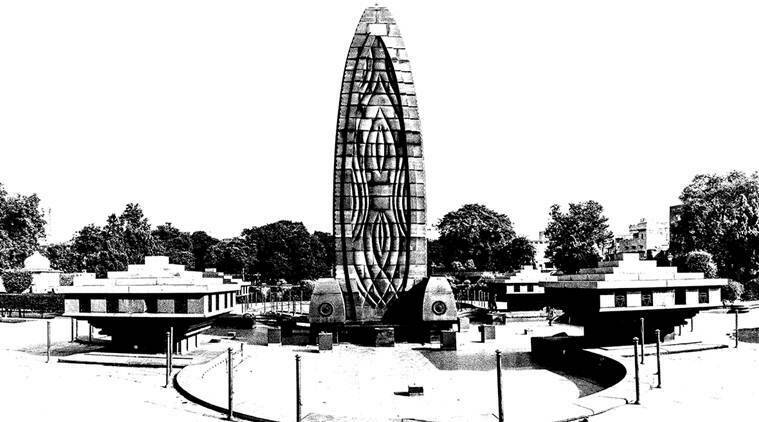 Talaja, Palitana , Bhavnagar Gramya, Bhavnagar Purva, Bhavnagar Pashchim, Gadhada and Botad. 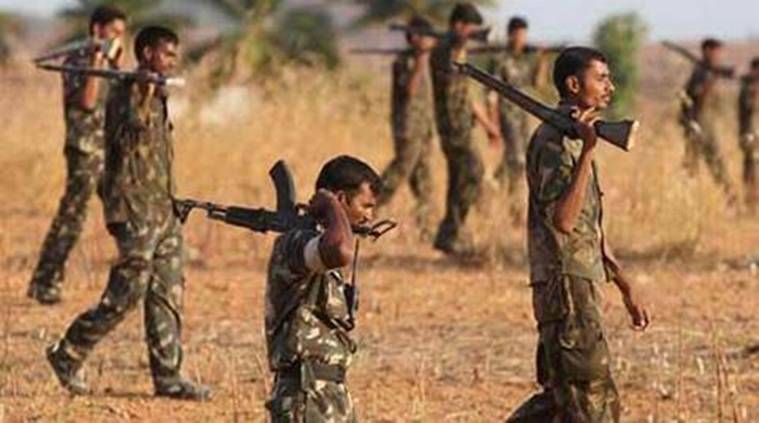 Security forces gun down two naxals in an encounter in Chhattisgarh's Bijapur district on Sunday. 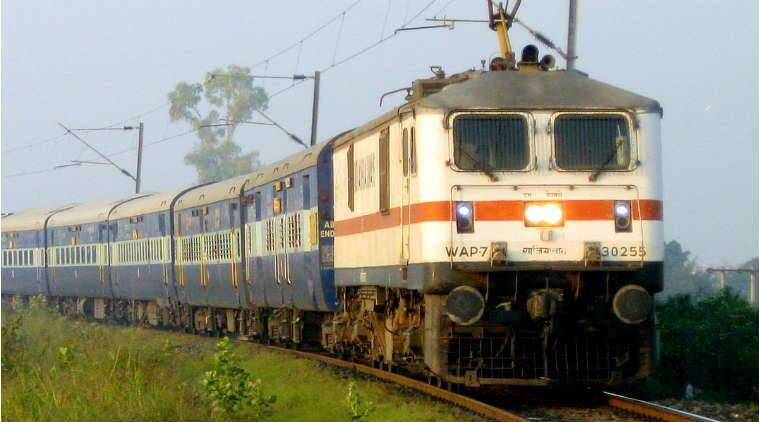 Bharuch is one of the 26 Lok Sabha Constituencies going to poll on April 23 in the state of Gujarat. It consists of the following Assembly constituencies - Karjan, Dediapada, Jambusar, Vagra, Jhagadiya, Bharuch and Ankleshwar. "Strongly condemn the horrific blasts in Sri Lanka. 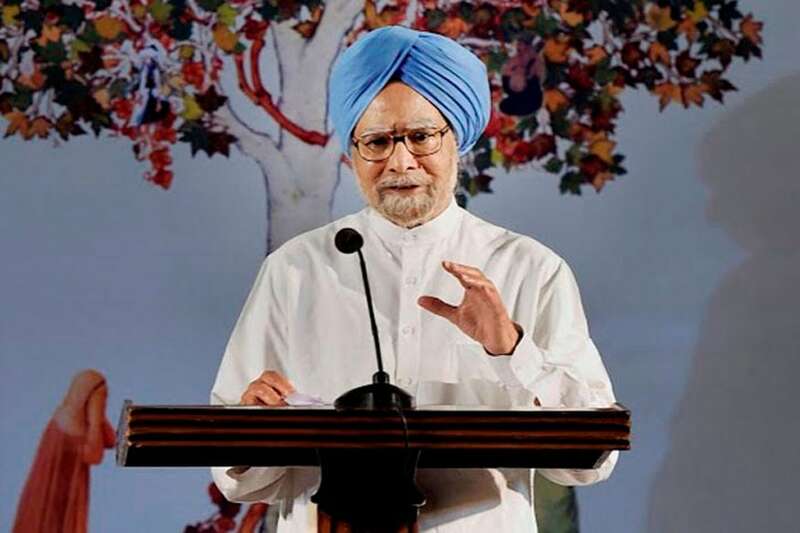 There is no place for such barbarism in our region," PM tweeted. 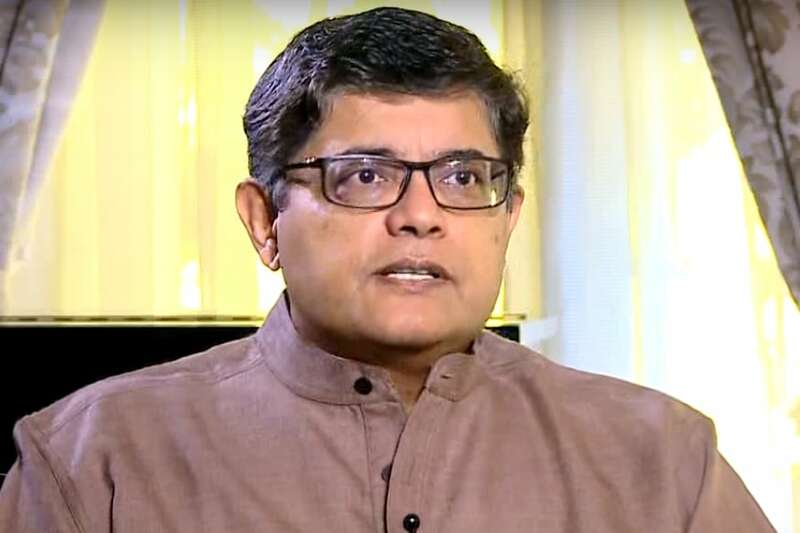 The Congress veteran added that the ruling BJP will not be able to occupy the power seat as it will not get the numbers and no other major political party will form an alliance with it either. 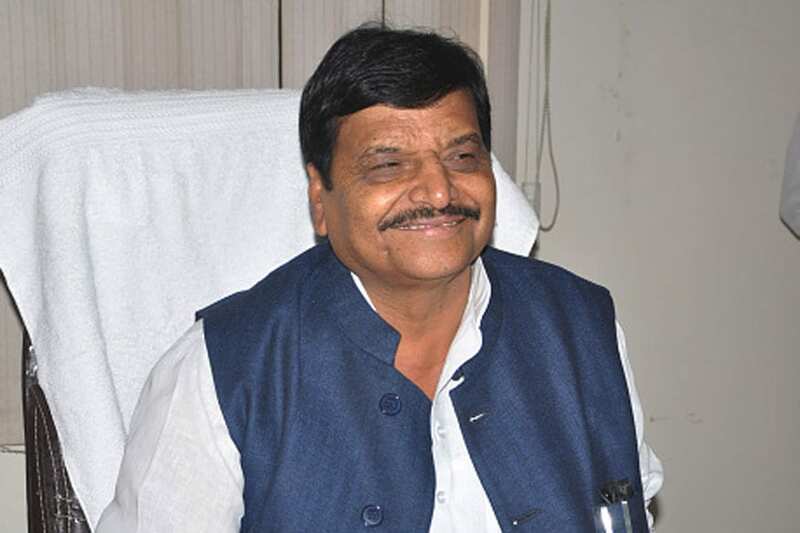 Shivpal, who is contesting Lok Sabha polls from here, said people of Firozabad invited him and based on their interest decided to contest from the seat. 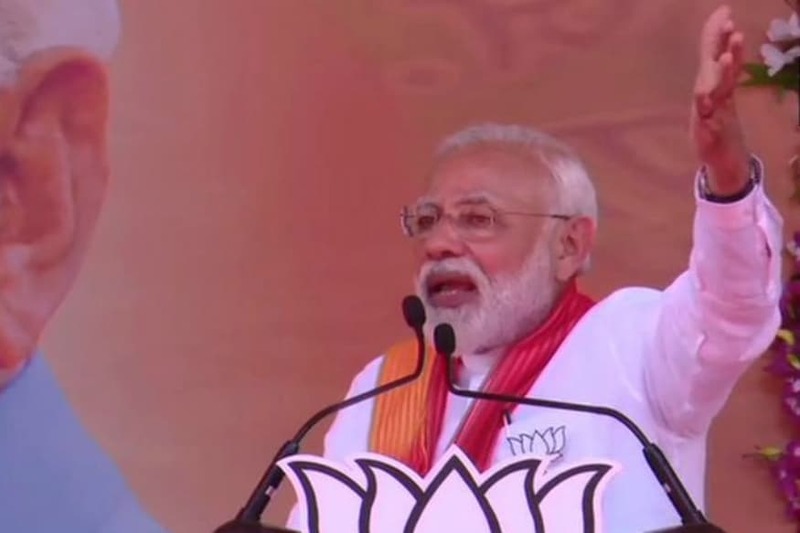 Addressing a rally in Gujarat’s Patan, the Prime Minister appealed to the people to vote for their ‘own man’ and son of the soil’. 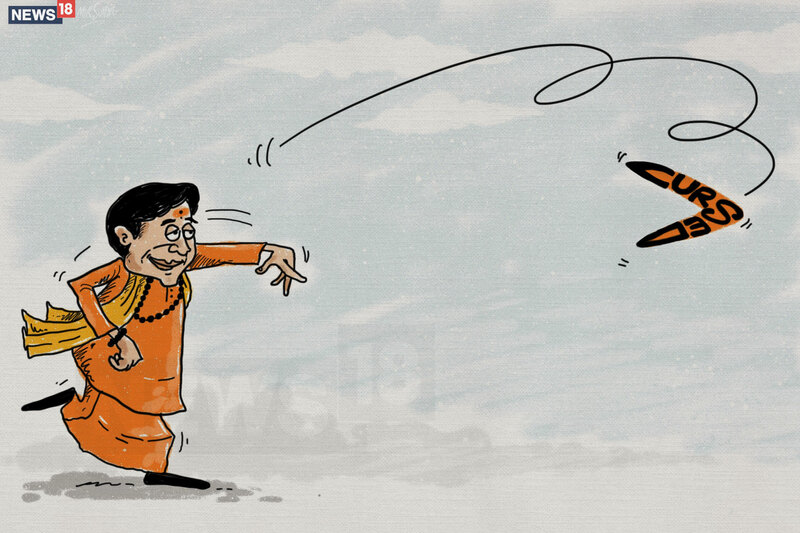 The BSP chief alleged Modi had got his caste included in the Backward Class category for political and electoral gains. On Saturday Thakur courted controversy when she said that she had ‘wiped off the blot from country’ by demolishing the Babri mosque. 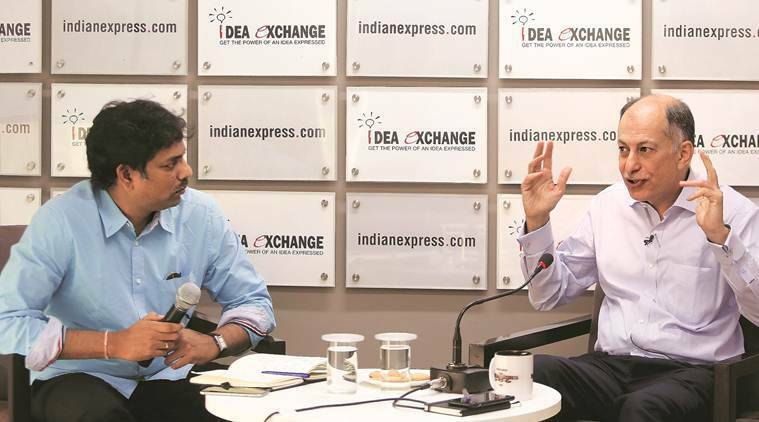 Sana Sabah says Prime Minister Narendra Modi has created the start-up culture, but no small businesses have benefited from it in Varanasi. 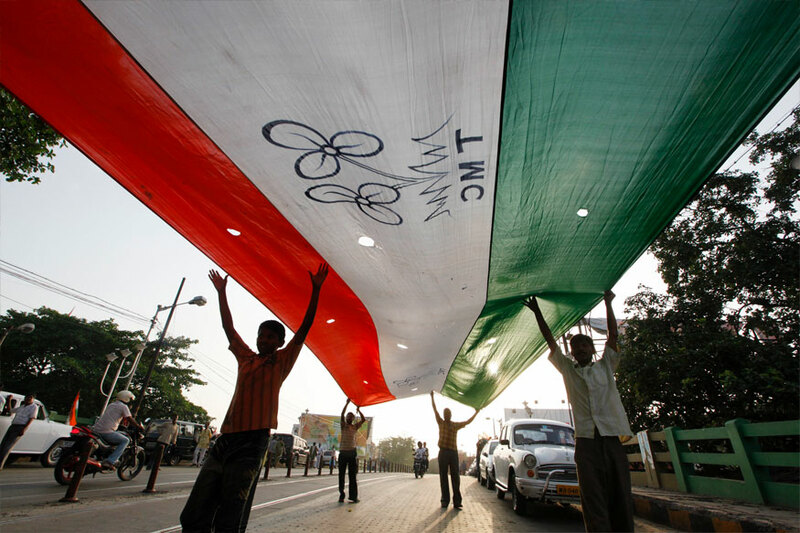 The Kendrapara constituency is known to be an anti-Congress bastion and has seen some epic battles and elected stalwarts Biju Patnaik, Rabi Ray and Surendra Nath Dwivedy in the past. 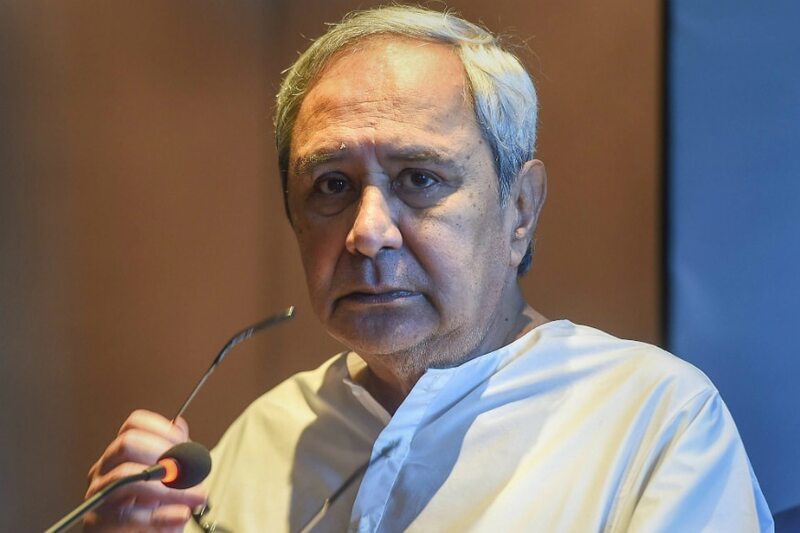 newNaveen Patnaik Still Popular, But Can Voter Wisdom and BJP’s Rapid Growth Beat the Odds in Odisha? 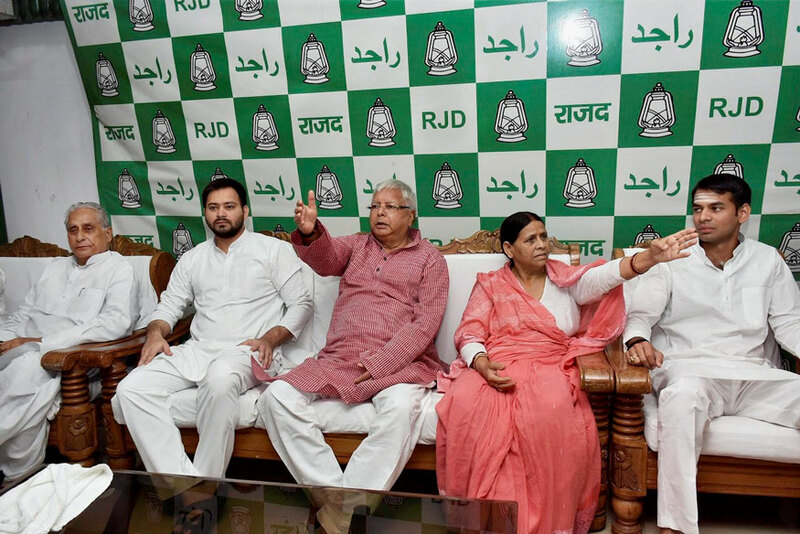 With a history of sending only a Yadav candidate to the Lok Sabha, it is going to be a triangular contest between RJD’s Sharad Yadav, JD(U)’s Dinesh Chandra Yadav and Jan Adhikar Party-Loktantrik (JAP-L)’s Pappu Yadav. 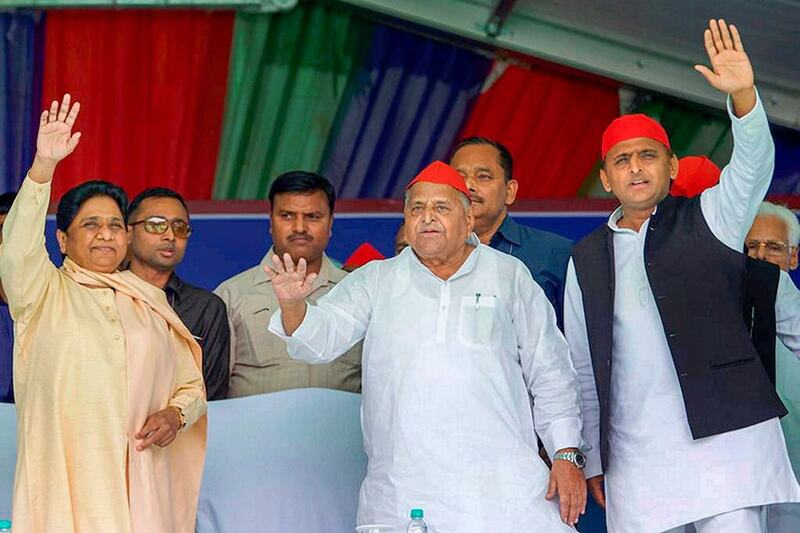 The 10 constituencies voting in the third phase are dominated by either the backward Yadav vote bank or Muslims, with the SP-BSP alliance coming together to keep at bay the BJP's polarising politics. 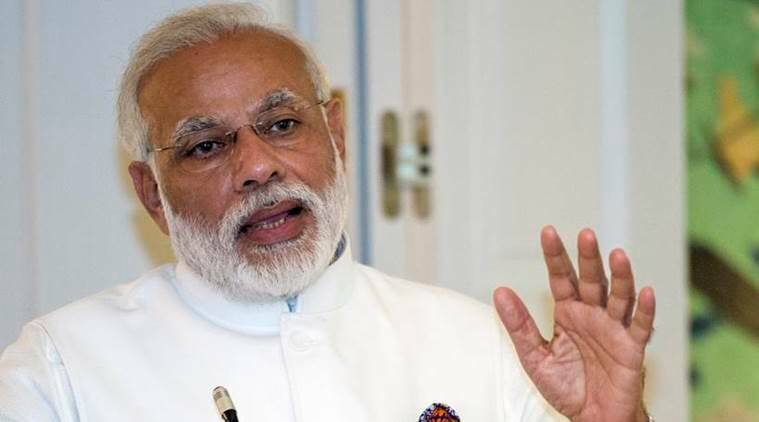 PM Modi said the 'farzi dosti' or fake friendship of 'bua' and 'babua', referring to Mayawati and SP president Akhilesh Yadav will also end the same way as the 2017 state elections. 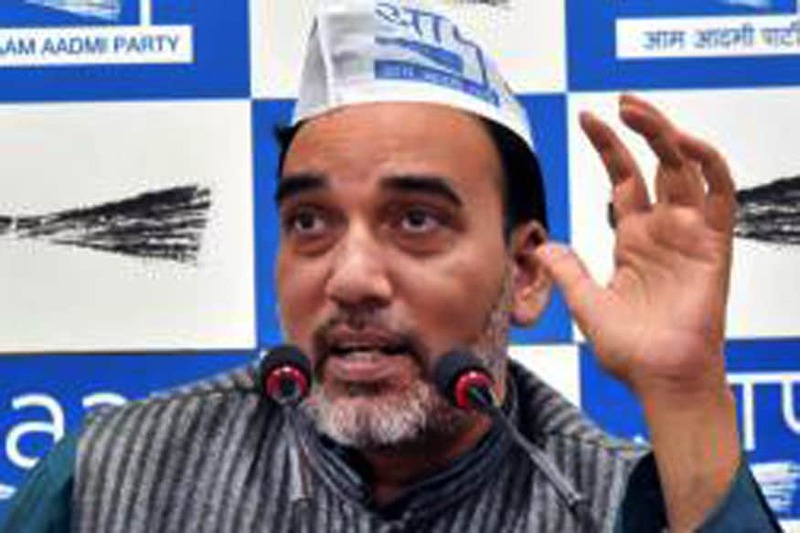 While Congress’ PC Chacko said the AAP backtracked on forging an alliance after a final understanding over seat sharing in Delhi was reached, AAP leader Gopal Rai said it was Congress who backed off from the alliance deal after many rounds of discussion. 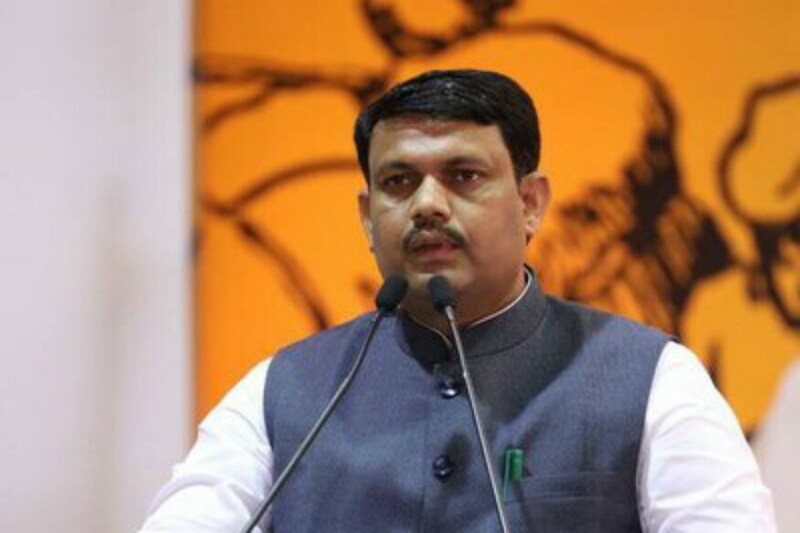 But BJP leader Dhansukh Bhanderi refuted the allegations and said the incident was a fallout of an internal dispute within the Congress. 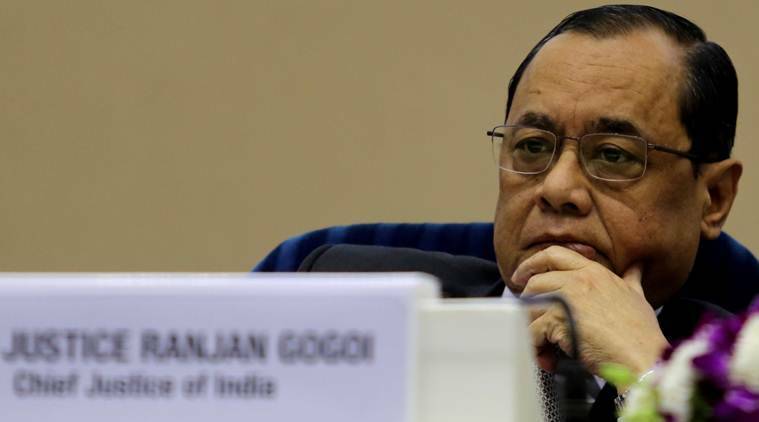 The AICC in-charge of eastern Uttar Pradesh wanted to know if attempts to destroy the Constitution and weakening institutions that protect the rights of the people was nationalism. 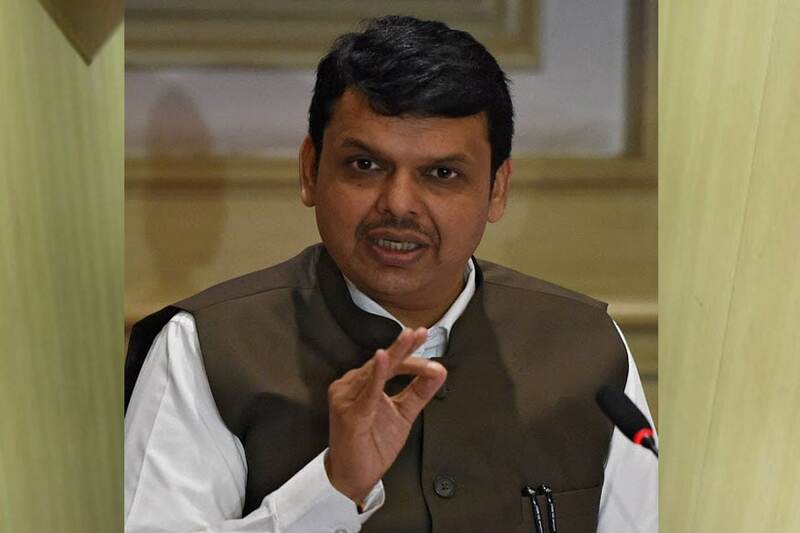 Fadnavis claimed that Sadhvi Pragya Singh Thakur has been given a clean chit by the NIA but Rahul Gandhi is still an accused who is out on bail. 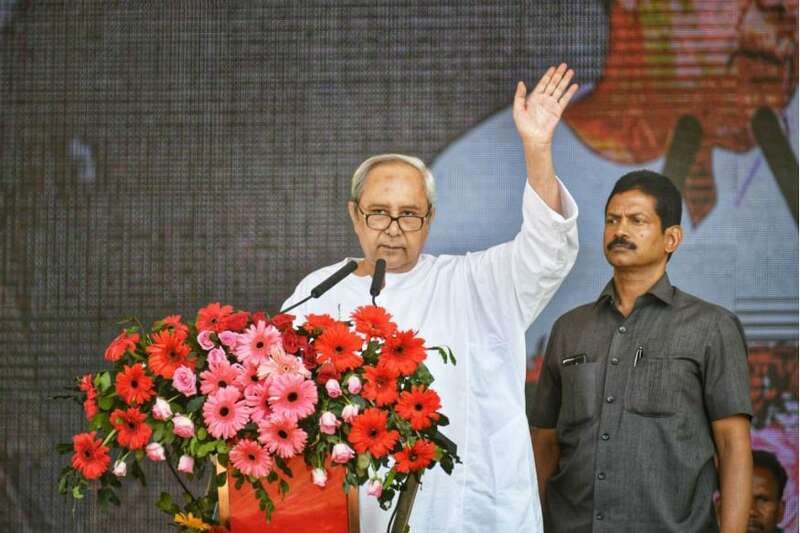 Patnaik reiterated that regional parties will play the role of king-makers in government formation at the Centre as no national party will get a majority. The TMC in its letter points to the fact that Nayak's appointment in the state is in violation of the provisions of the Representations of People Act because he is a retired and not a serving officer of the government. 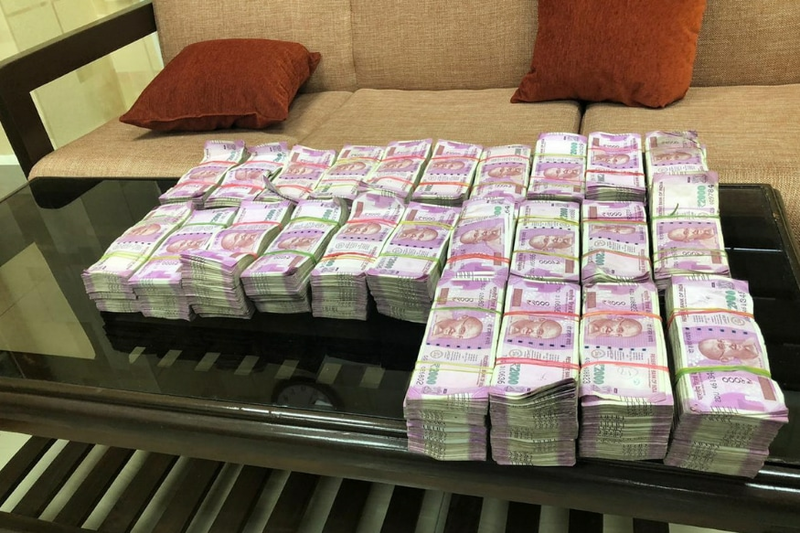 The house of a bank employee in Navanagar, Bagalkot was searched and Rs 1 crore was seized. 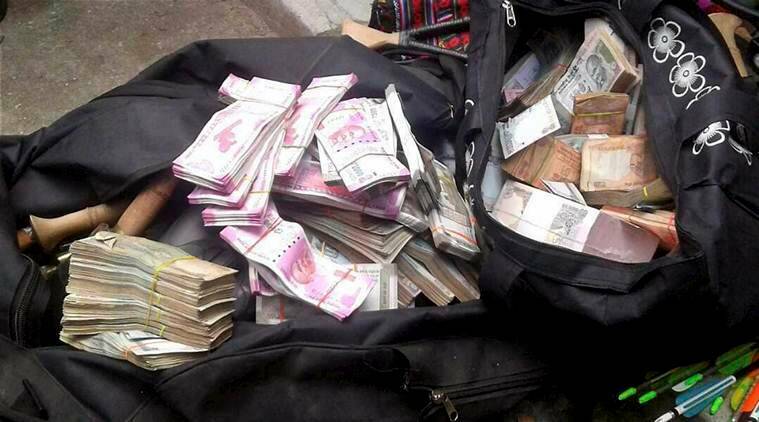 intelligence suggested that the person is accumulating cash for distribution for election purposes. 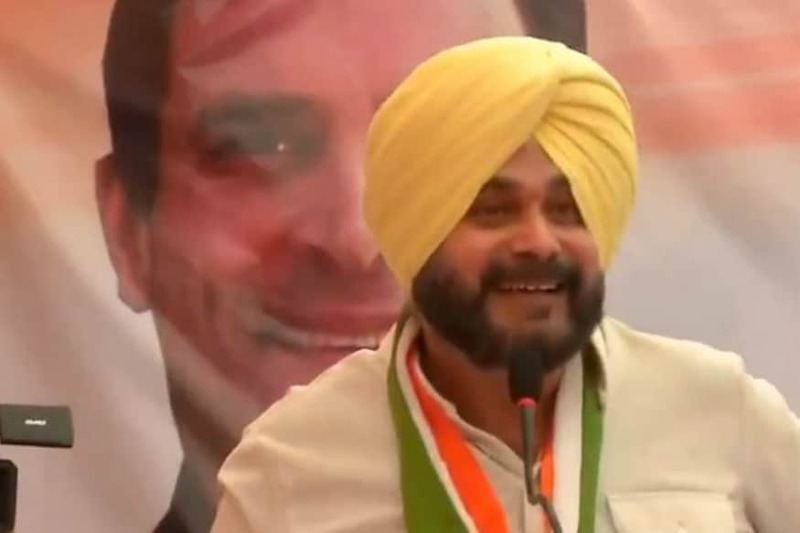 The poll panel said prima facie Sidhu violated the model code of conduct in place for the Lok Sabha polls, and also a Supreme Court direction barring use of religious references for political propaganda. 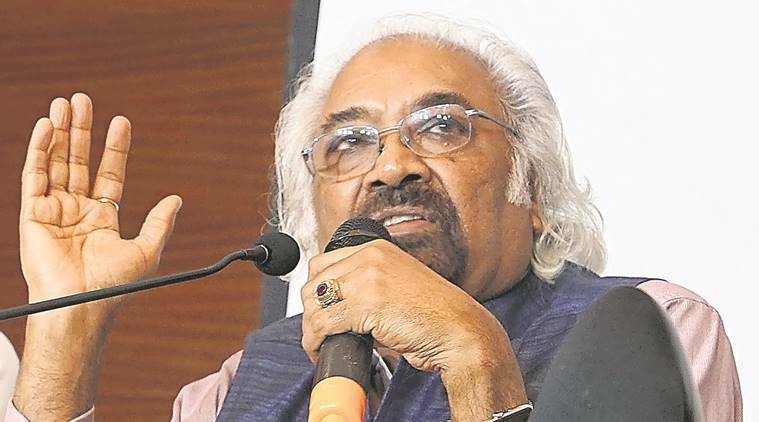 The Congress government, after winning the Assembly election in Chhattisgarh, did not tell people "Man ki Baat", he said, in a dig at the prime minister's radio program. 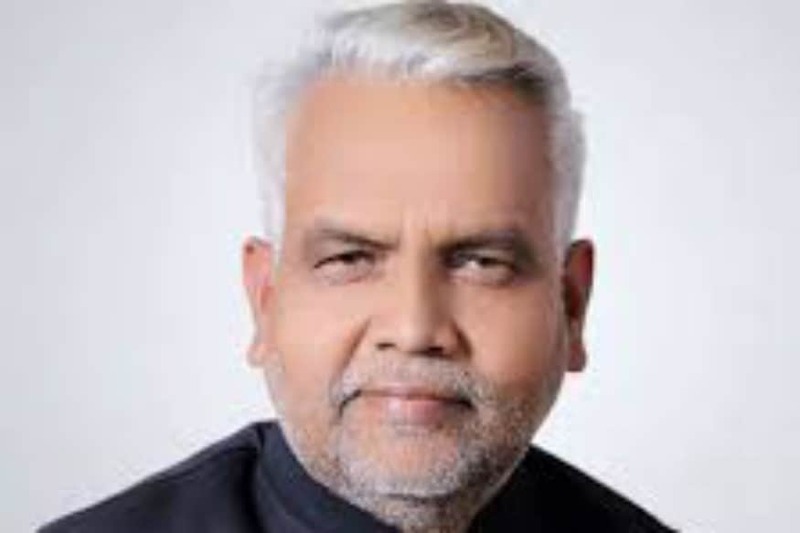 Bhopal returning officer and collector Sudama Khade served notices to Thakur and BJP’s Bhopal unit president Vikas Virani. Both have been directed to furnish their replies within 24 hours. 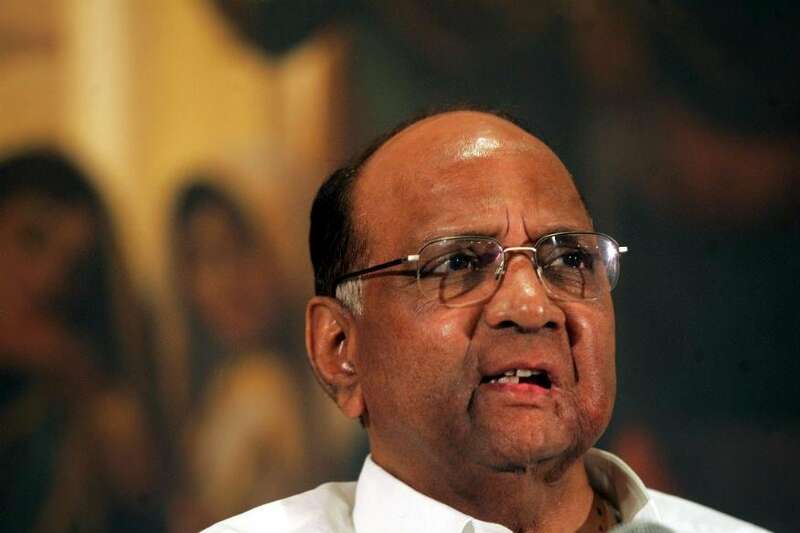 The BJP is asking what the UPA government did, but it fails to answer what it did in the ten years it was in power, Pawar said. 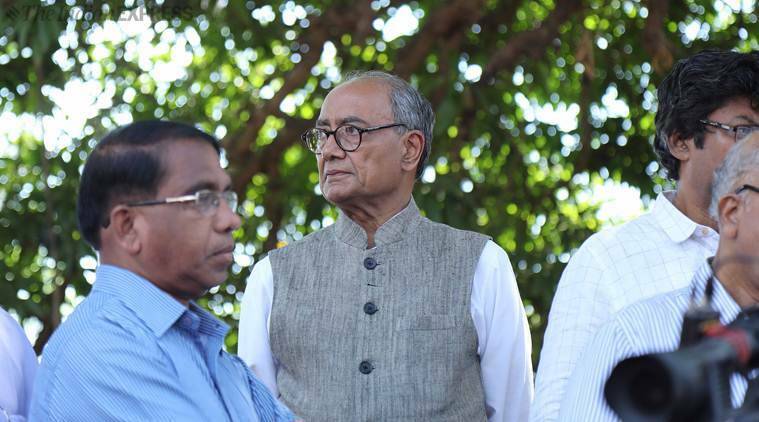 Digvijaya Singh was apparently referring to R K Singh, a Union home secretary during the UPA regime who later joined the BJP and became minister. 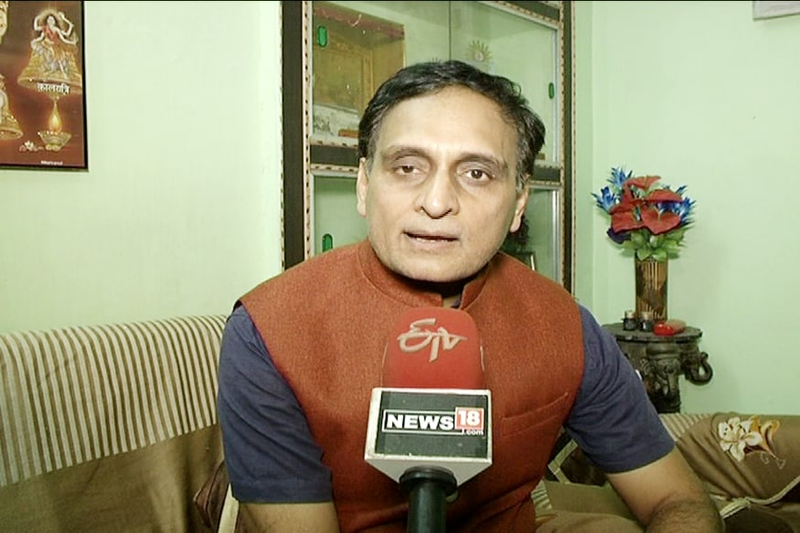 Accusing the Kamal Nath government of disrespecting constitutional bodies, Prof Rakesh Sinha alleged the Vice President of India was the chancellor of the university but his permission wasn’t sought for before lodging FIRs against faculty members. 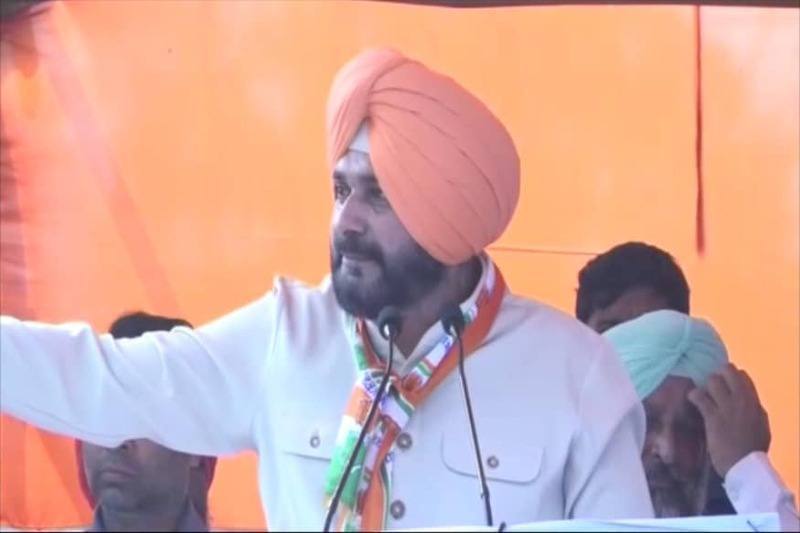 Singh said that Nyay has been received with tremendous enthusiasm by people and discussed widely across the nation and that it would ensure a basic level of dignity and respect for every Indian family. 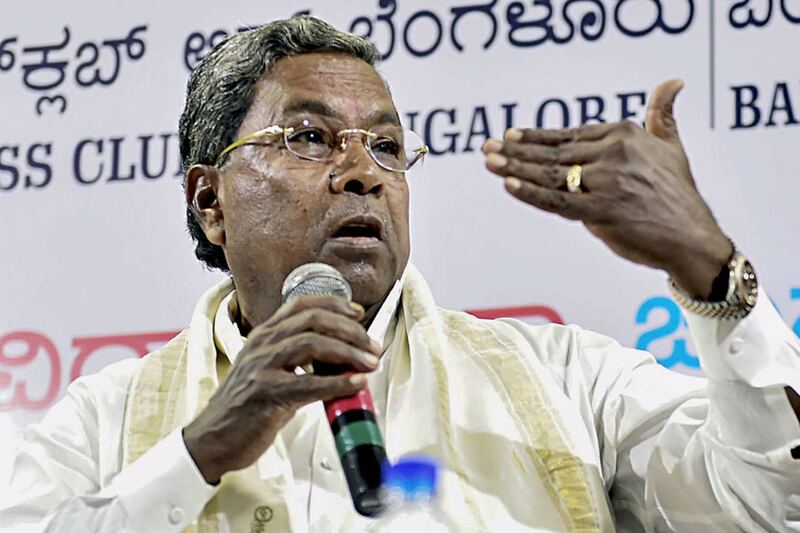 The statement is bound to raise fissures in Congress as other aspirants for the top position won’t be happy with Siddaramaiah’s ambitious remark. 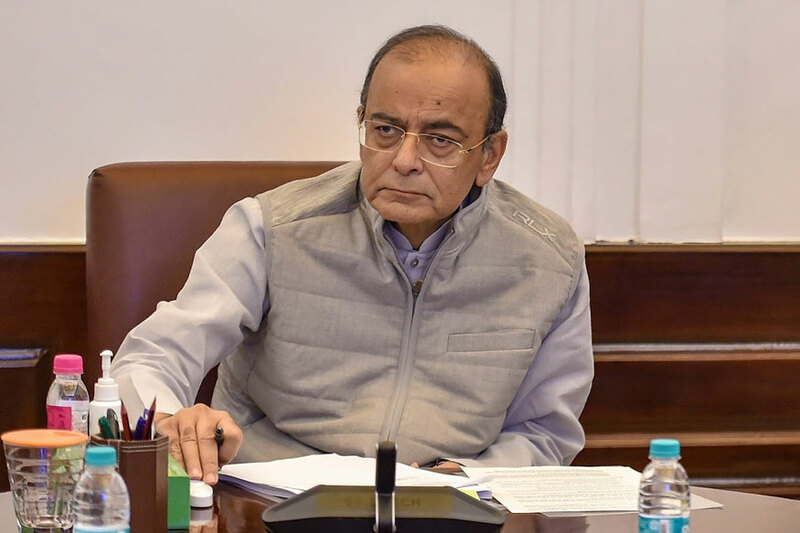 Arun Jaitley added that with the socio-economic profile of the country moving up on account of growth, it would be difficult for people to accept dynasties. 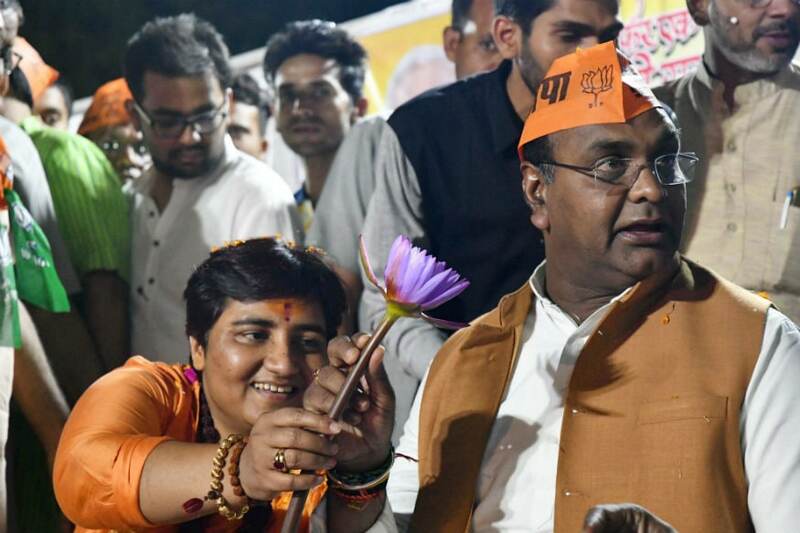 Thakur, the BJP's Bhopal Lok Sabha seat candidate and an accused in the 2008 Malegaon blast case, is under fire for claiming that Karkare died in the attack as she had 'cursed' him for 'torturing' her. 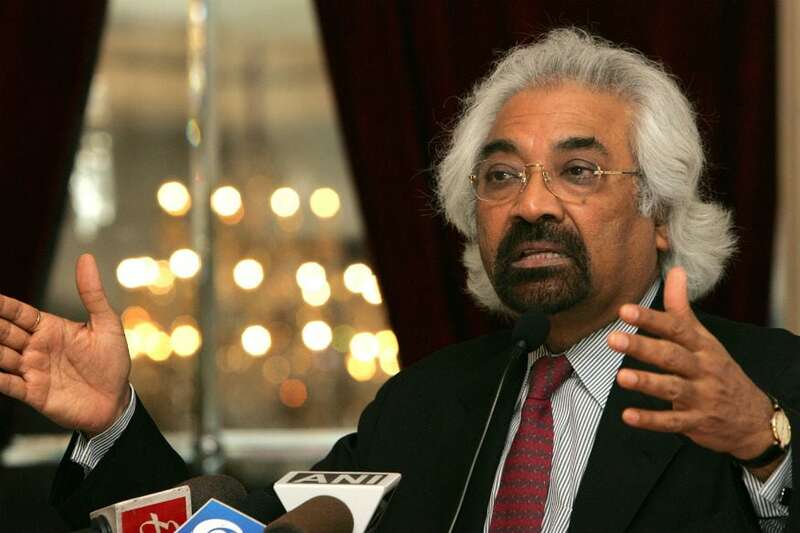 Sam Pitroda said vice chancellors of universities should be given all the freedom but they don't have it. 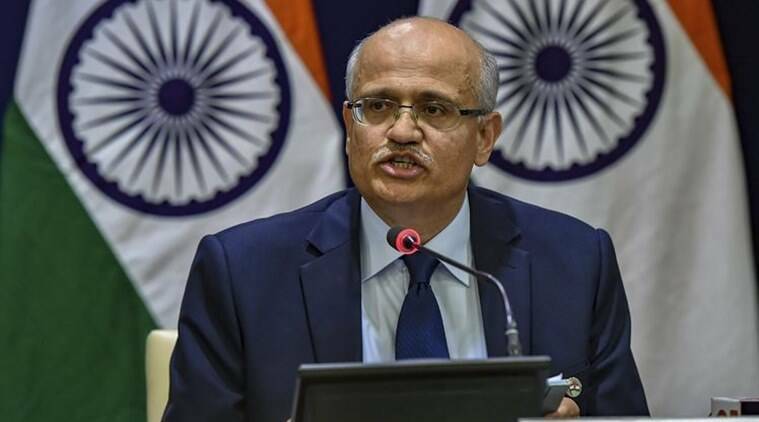 The Election Commission said Central Industrial Security Force (CISF) personnel on duty at the building will ensure that only those with valid authorisation are allowed to enter. 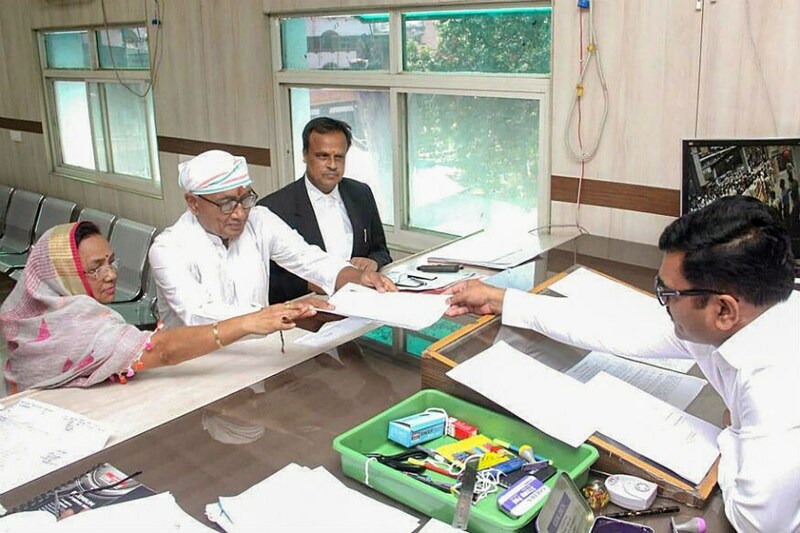 Digvijaya Singh, who is facing BJP's Pragya Singh Thakur in Bhopal, filed his papers on Saturday afternoon, said Congress leader Jawahar Punjabi. 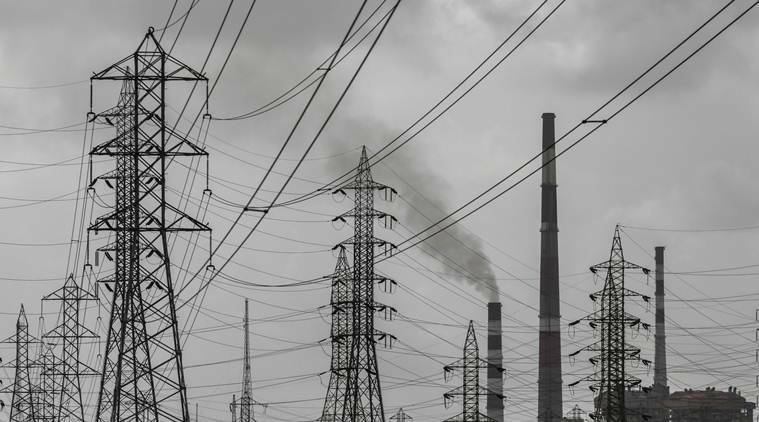 Addressing a press conference at the party headquarters, the Punjab Minister said that during Modi's rule, industrialists got 18 major deals. 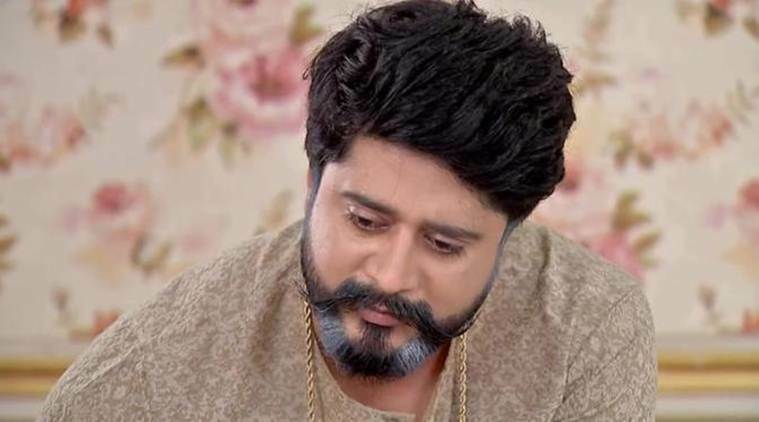 While episodes of the web series were already aired on April 3 before the first phase of polling, the remaining five episodes have been ordered to be removed from Eros Now's digital platform. 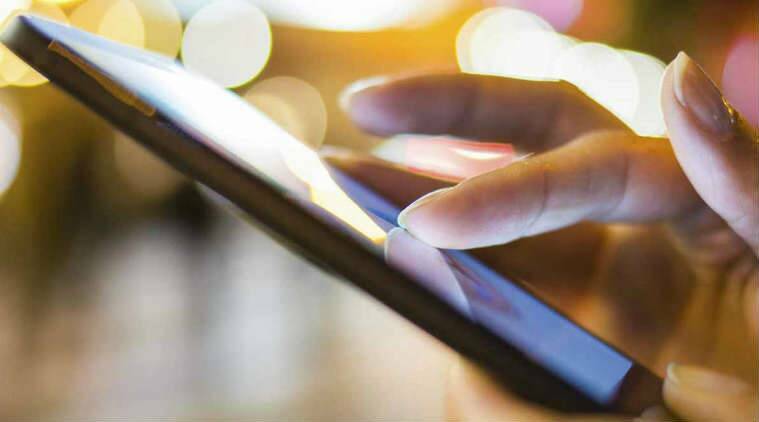 While the first phase of polls will be held in 212 ZPTCs and 2365 MPTCs, 199 ZPTCs, 2109 MPTCs will go to polls in the second phase and 124 ZPTCs and 1343 MPTCs in the last phase. 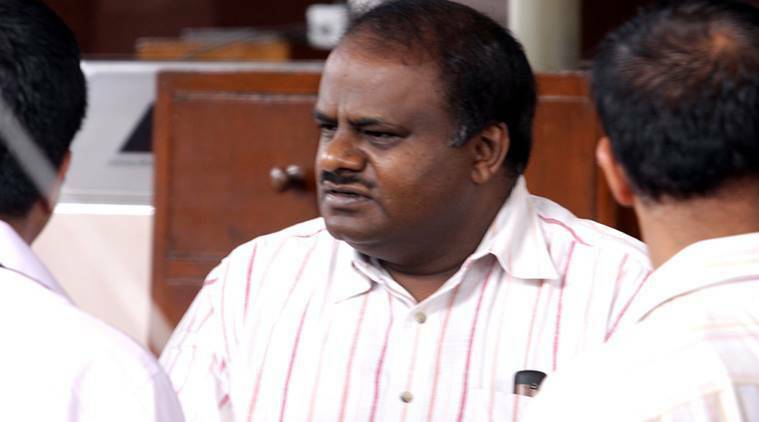 Ahmed Patel predicted that the BJP and its allies will not get more than 200 seats in the Lok Sabha polls. 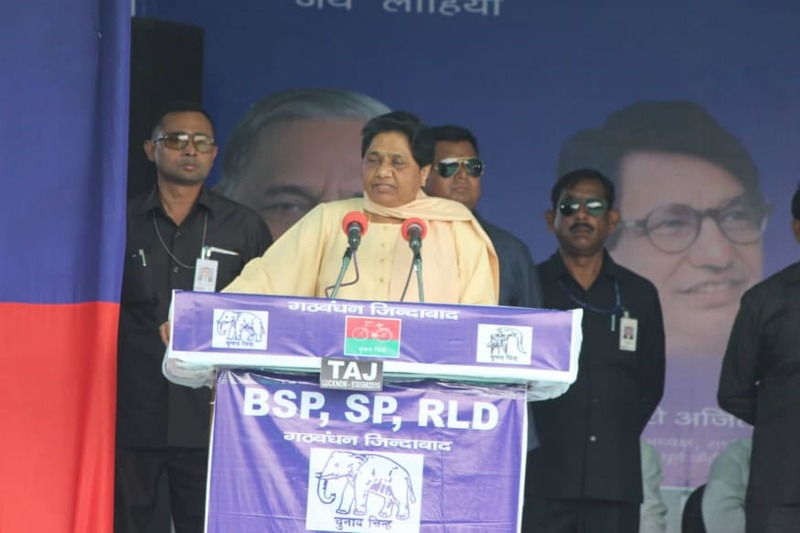 Urging voters to elect Azam Khan from Ramgarh, BSP supremo Mayawati said that the massive crowd implies that the SP candidate will win by a huge margin. 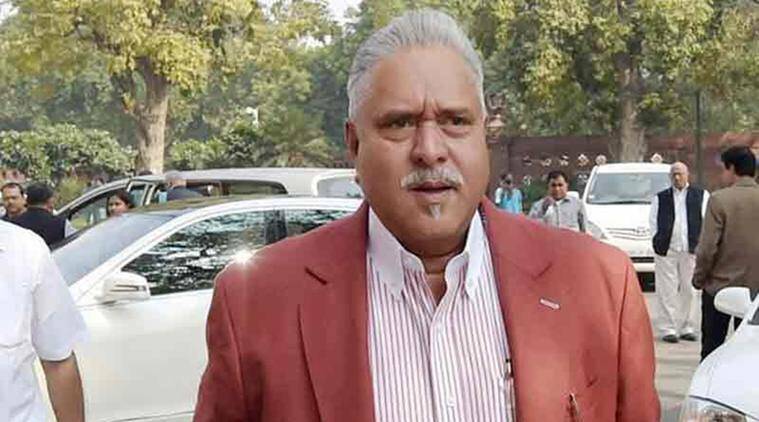 Attacking Prime Minister Narendra Modi, he said the unemployment rate was at a 45-year high due to demonetisation and the "Gabbar Singh Tax" (referring to GST) imposed by the NDA government. 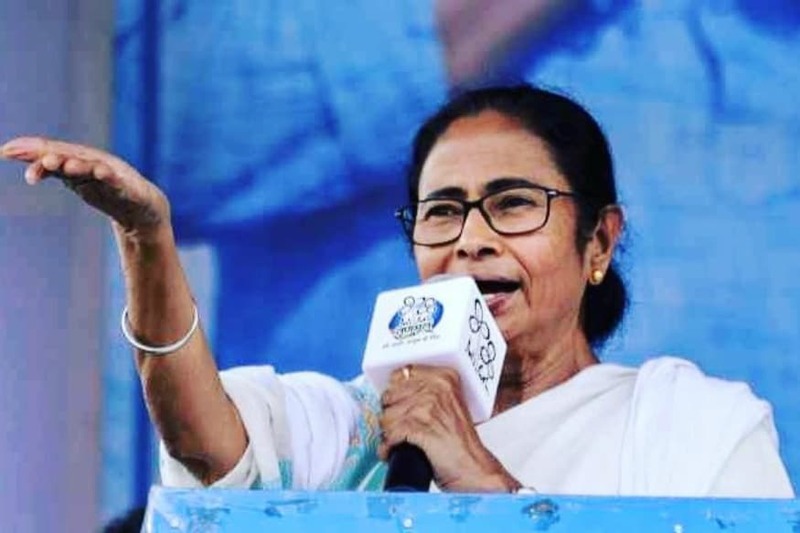 Reacting to BJP's allegations that she as chief minister of the state has done nothing for West Bengal, Banerjee said that people will seek answers from her if it is so. 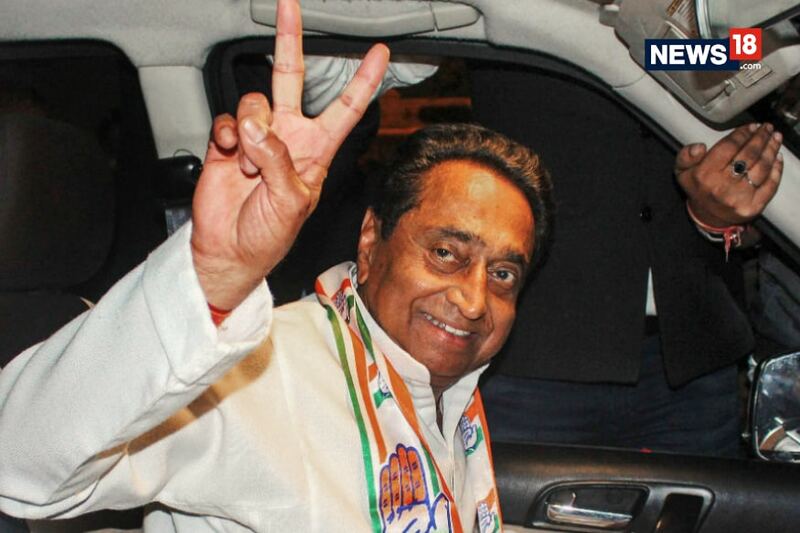 At 19, Independent candidates lead the pack of the 34 nominees facing serious cases, followed by the Congress (nine contestants) and the BJP (five candidates). 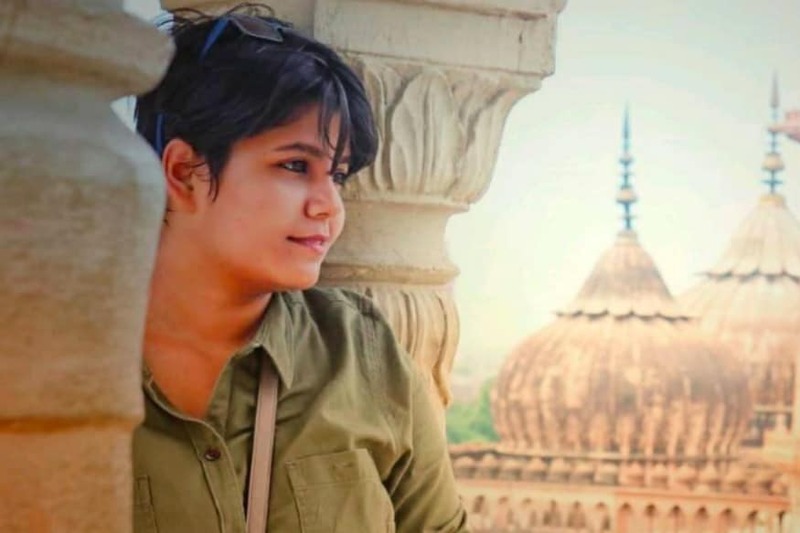 Sanghmitra Maurya, daughter of Uttar Pradesh minister Swami Prasad Maurya, had earlier hit the headlines by saying that she would become a goon if anyone tried to bully the people of Badaun. 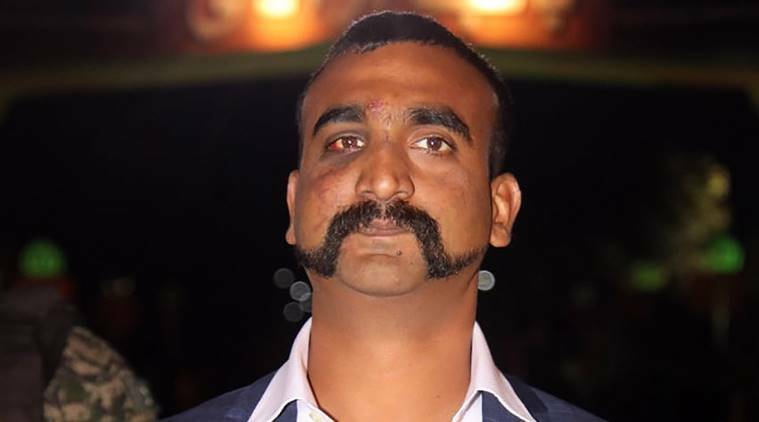 Priyanka Gandhi said Rahul, who is two years older than her, has been ally in most beautiful and most difficult moments of her life. 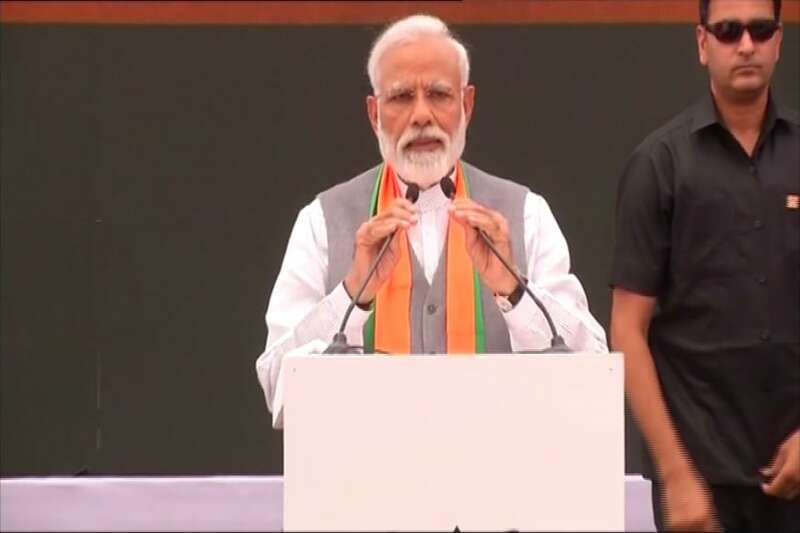 The PM said he has in the five years of the BJP-led NDA government at the Centre worked to simplify lives and businesses of traders by scraping 1,500 archaic laws, simplifying processes and providing easy credit. 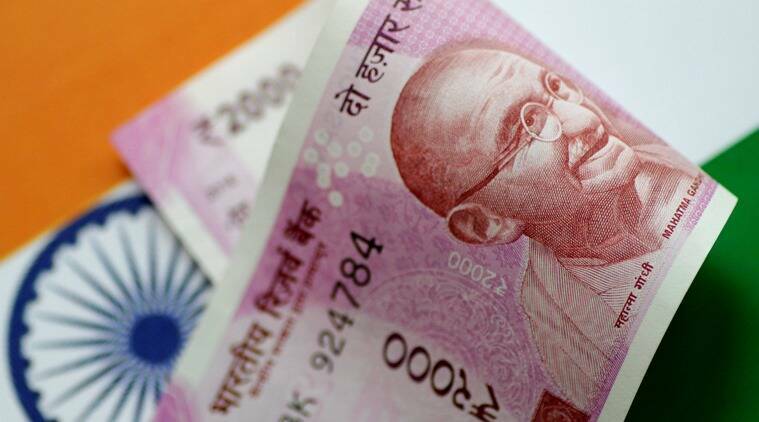 In 2018, the RSI had demanded that the government raise research stipends by at least 50 percent for scholars, who are beneficiaries of the JRF and SRF (Junior and Senior Research Fellowships). 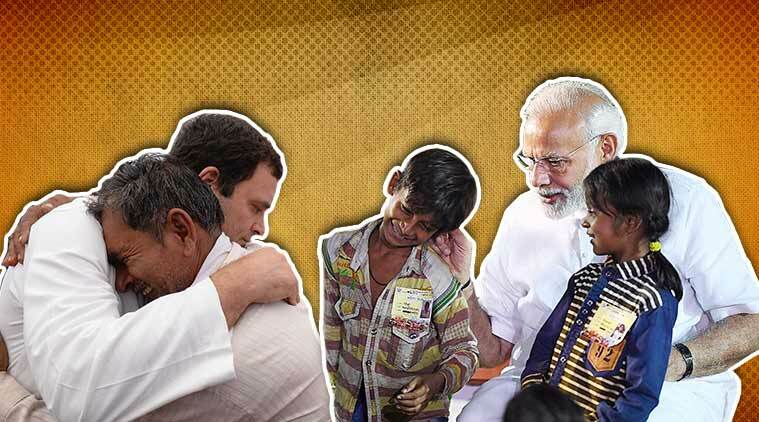 The Congress leader alleged that the "chowkidar" took care only of the rich and ignored the rest 99 per cent of the population. 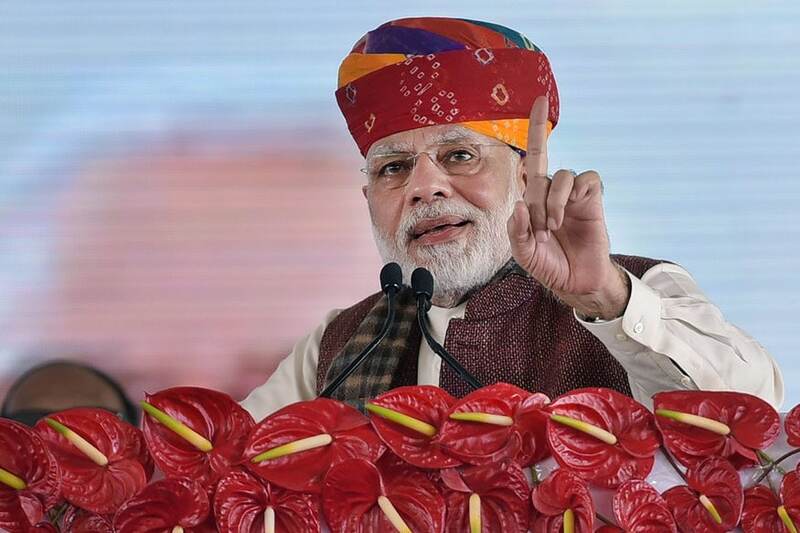 PM Modi said that 'lies' were being spread about his government that its introduction of five per cent quota for the unreserved categories was a step in the direction of doing away with reservations. Reports of EVM malfunctioning started surfacing since morning from almost all the states. 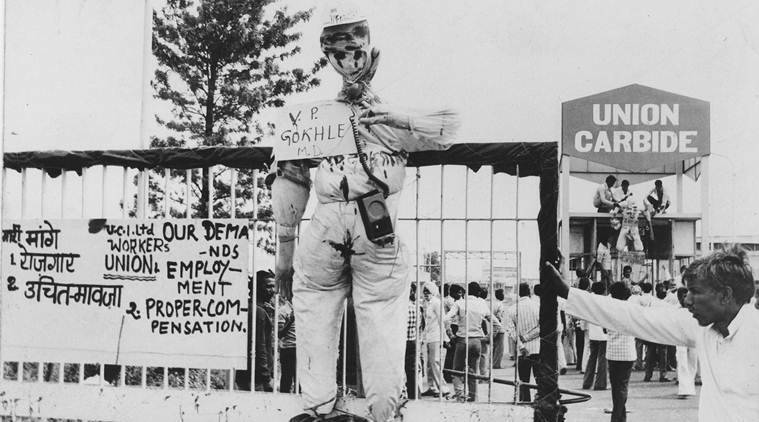 While the snags delayed the voting, incidents of violence and poll boycotts impacted the voting pace as well as the ultimate turnout. 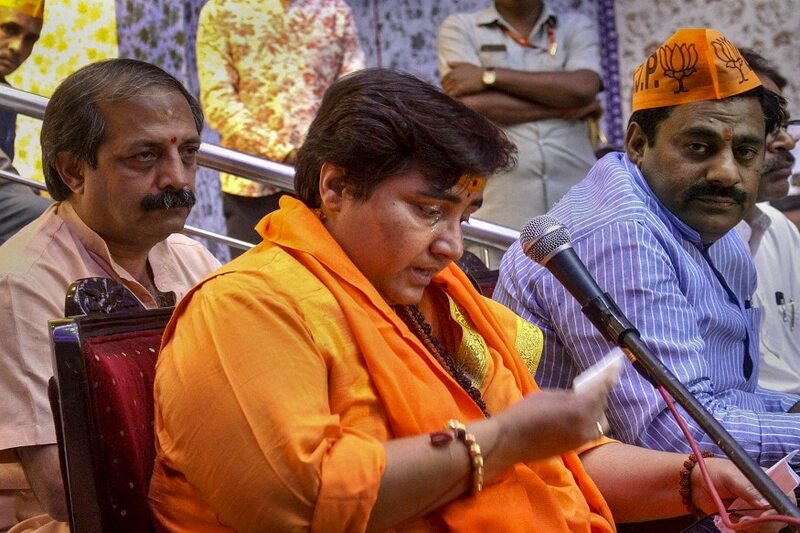 Out on bail, Pragya Thakur has been discharged by a court on charges under the stringent Maharashtra Control of Organised Crime Act in the 2008 case but is still facing trial under other criminal provisions, including the Unlawful Activities (Prevention) Act. 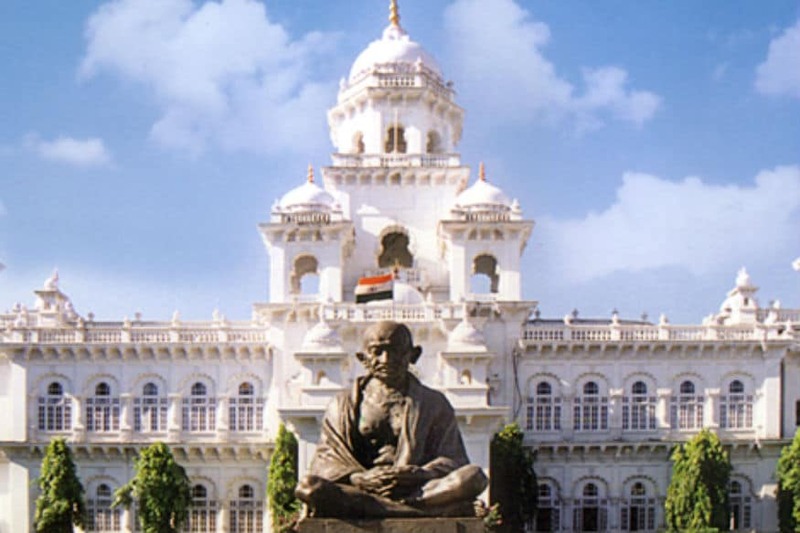 Congress is struggling to retain its position after 10 of its 19 MLAs, who won in the recent Assembly polls, moved to K Chandrashekhar Rao’s Telangana Rashtra Samithi (TRS). 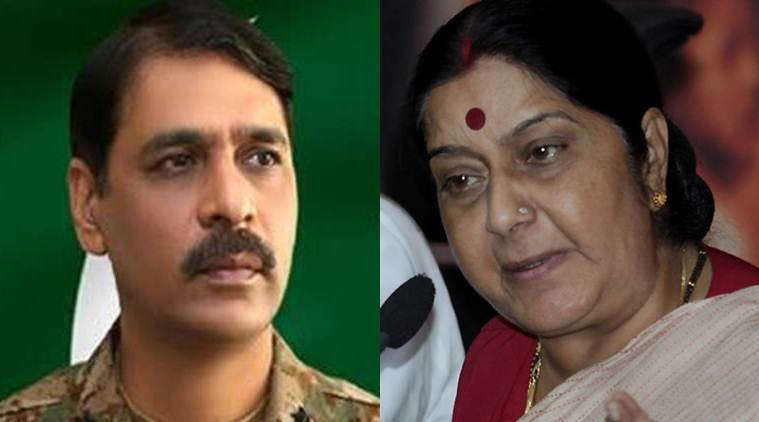 Pandhari Yadav is pitted against BJP leader Keshri Patel and Pankaj Niranjan of the Congress. 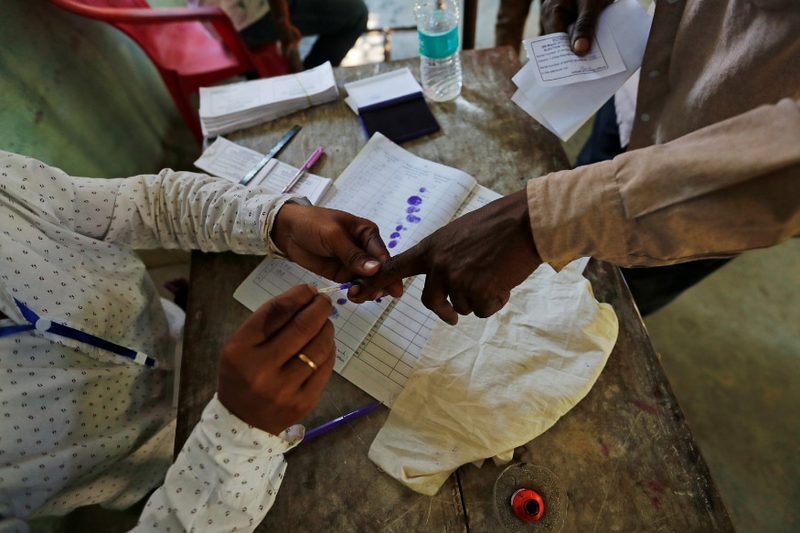 The Balurghat Parliamentary constituency, close to the India-Bangladesh border, represents mostly the South Dinajpur district and has over a million electorates. During the telephonic conversations, PM Modi expressed condolences on his behalf and also on the behalf of the nation. 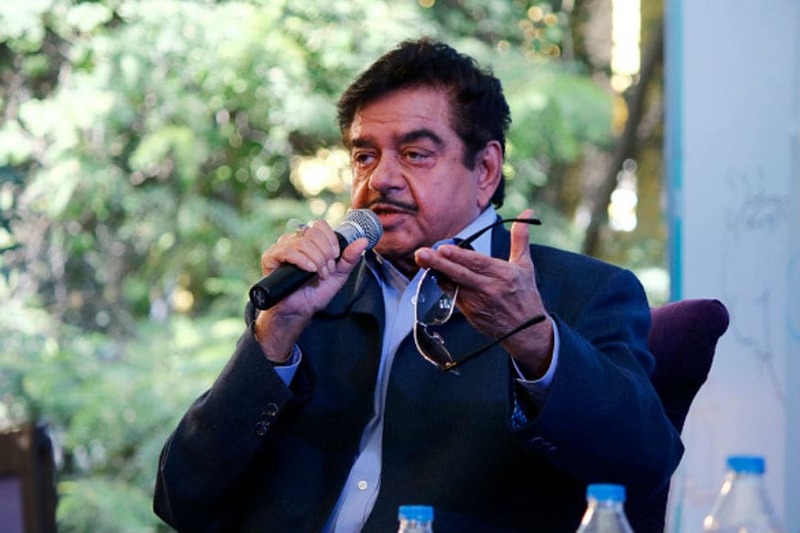 It is to be noted that the AAP is fighting the Lok Sabha poll in alliance with Jannayak Janata Party (JJP). 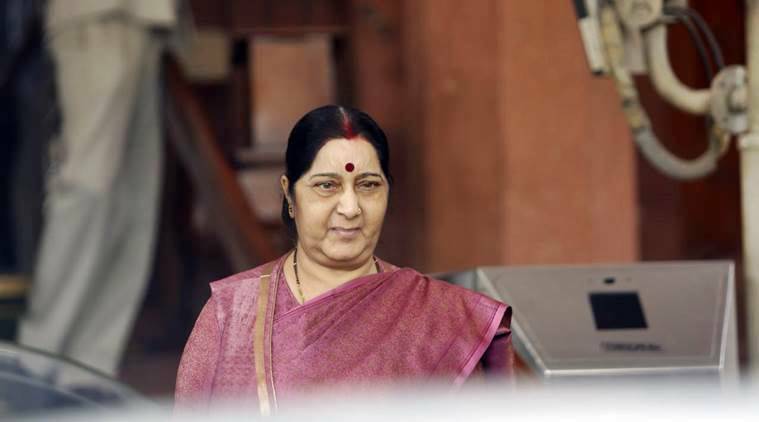 The Minister of External Affairs issued a statement extending "deepest condolences to the families of the victims and to the people and Government of Sri Lanka". 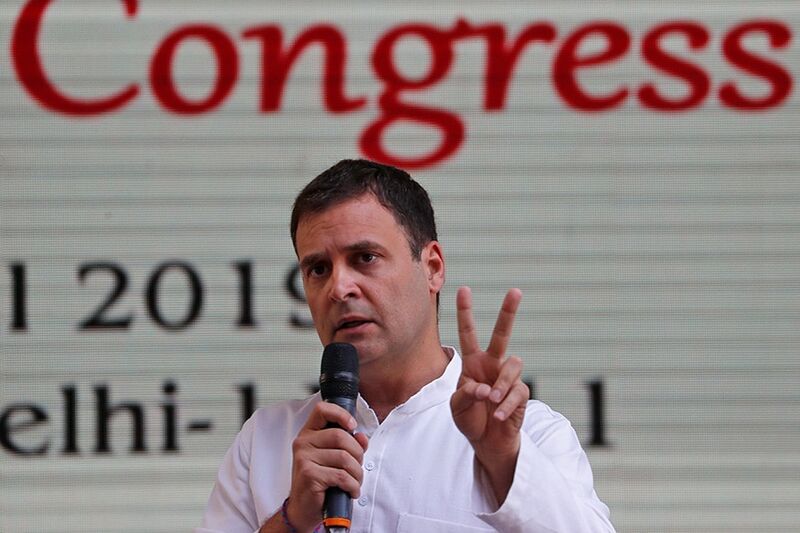 Congress leader Anand Sharma said Rahul Gandhi will be the next prime minister of the country if the Congress gets the highest number of seats in the April-May Lok Sabha polls. This is the second poll panel notice against Thakur since the saffron party announced her candidature on Wednesday. 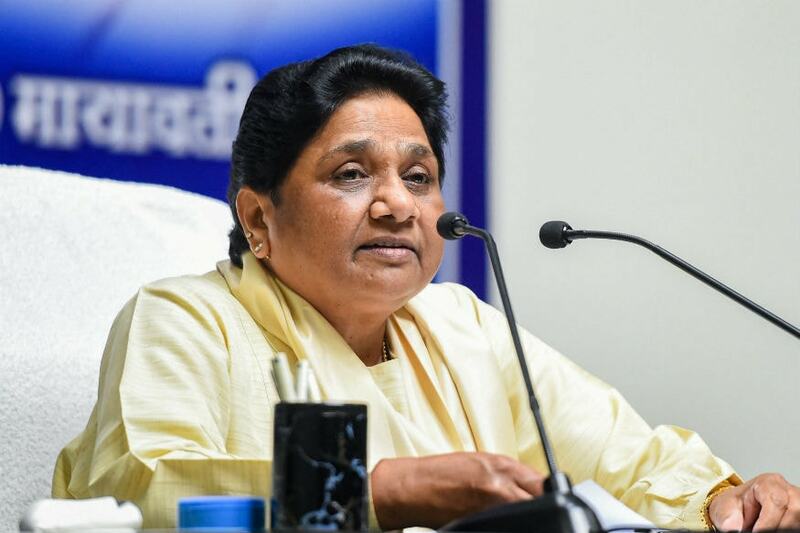 In a series of tweets, Mayawati said that Modi was made PM by the people of UP and the people of the state have decided to remove him from the PM post after the ongoing Lok Sabha election. Irani said the Gandhi family can bring family members from within the nation or from Italy but they will lose to PM Modi. The bodies have been recovered from the spot. Several weapons were also recovered. In many cases, it has been suspected that innocent children never get to see their parents while those guilty of putting them to begging end up claiming to be their fathers and mothers. Indian and the US` P-8 anti-submarine aircraft, along with the USS Spruance, a guided-missile destroyer, participated in the anti-submarine warfare training on April 15. 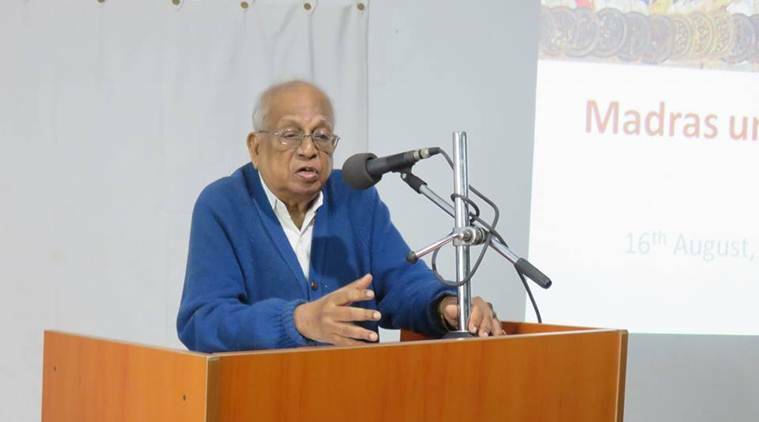 Srivastava was an IT engineer in Singapore before returning home to work for the masses. 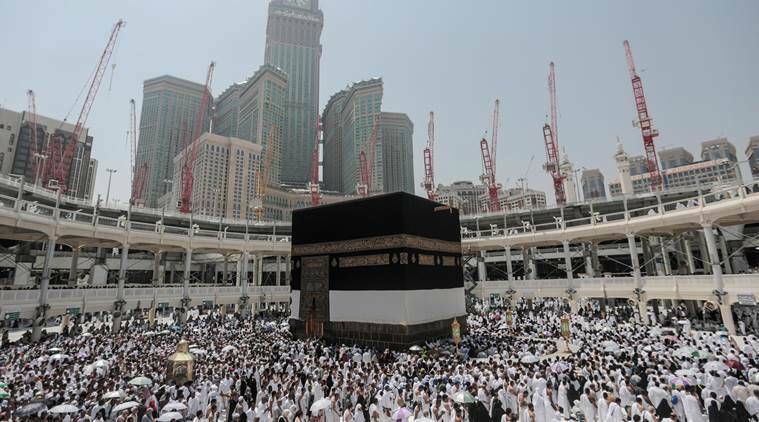 At least 156 people were killed in six bomb attacks on Sunday that included three churches, three hotels. 'My govt will come back to power' Modi said. 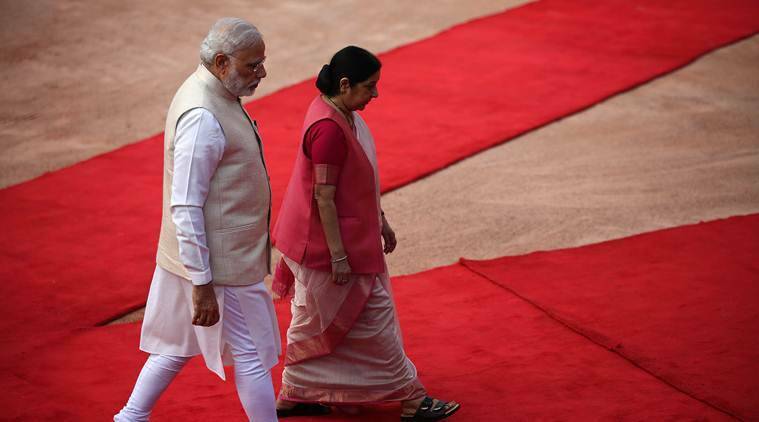 'We are keeping a close watch on the situation,' Swaraj said. 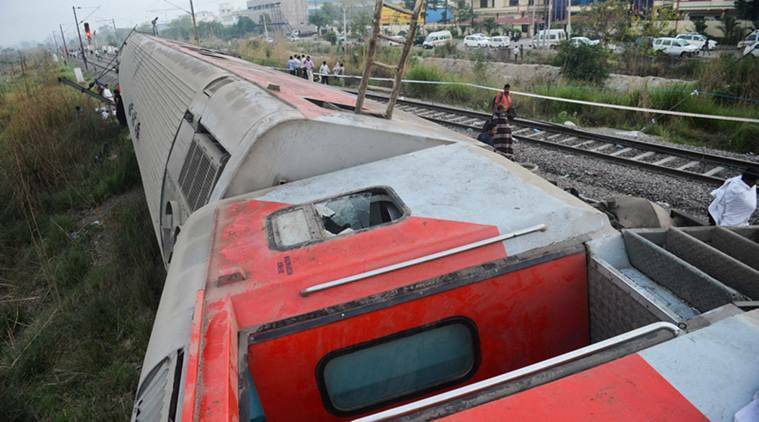 The blasts occurred at around 8.45 am (local time).